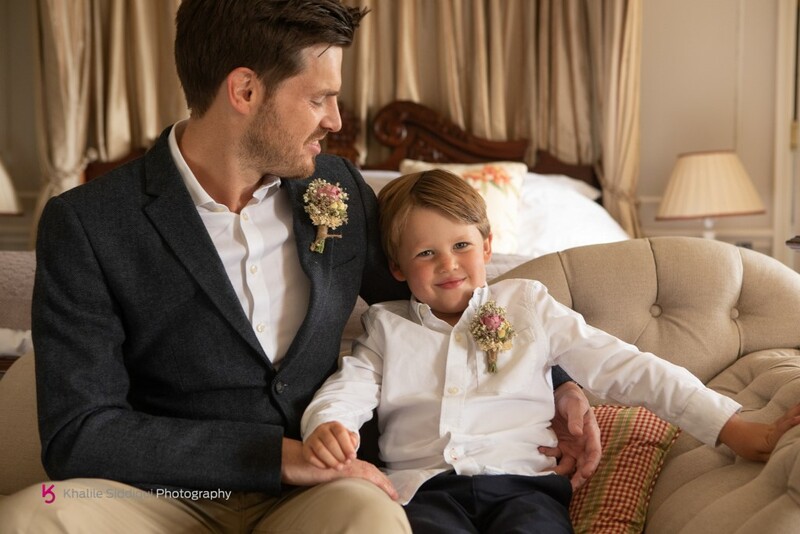 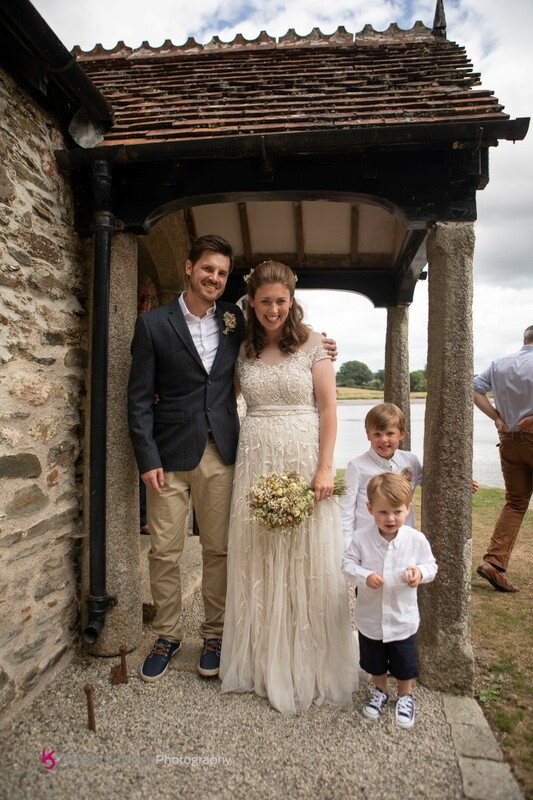 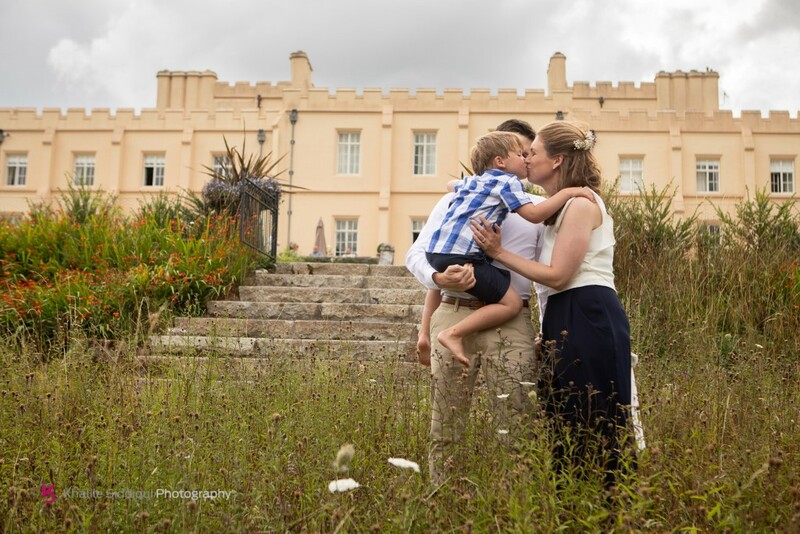 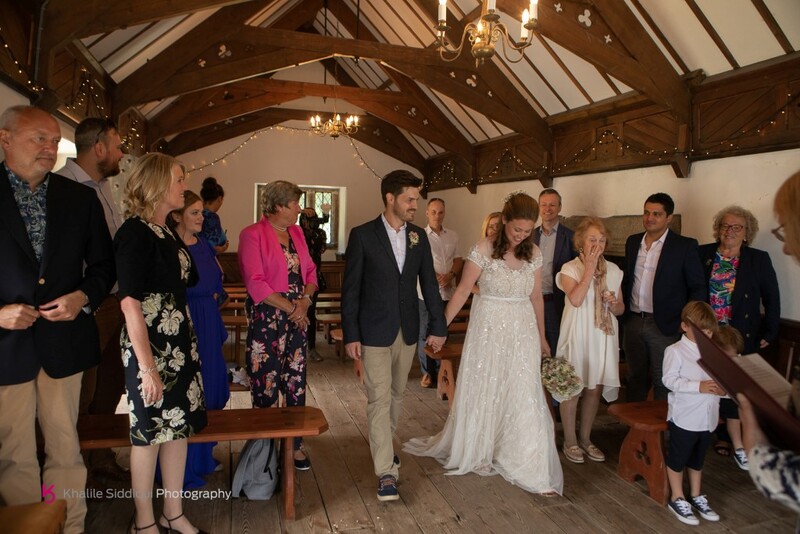 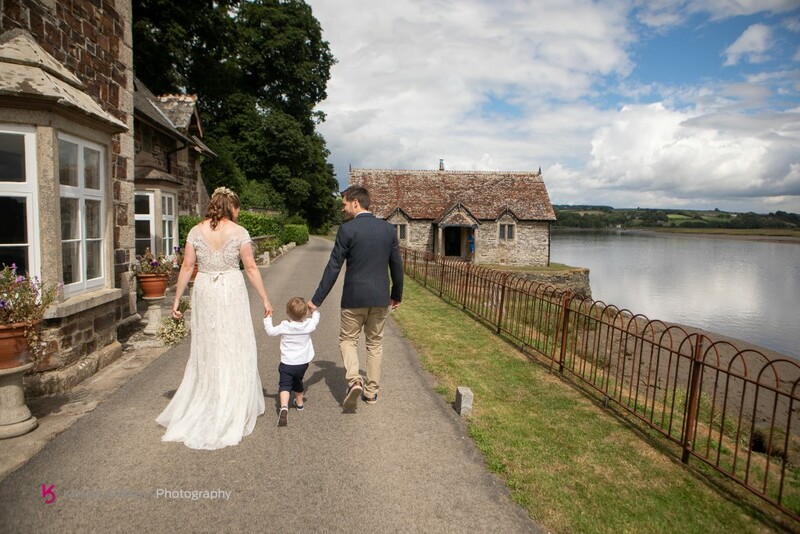 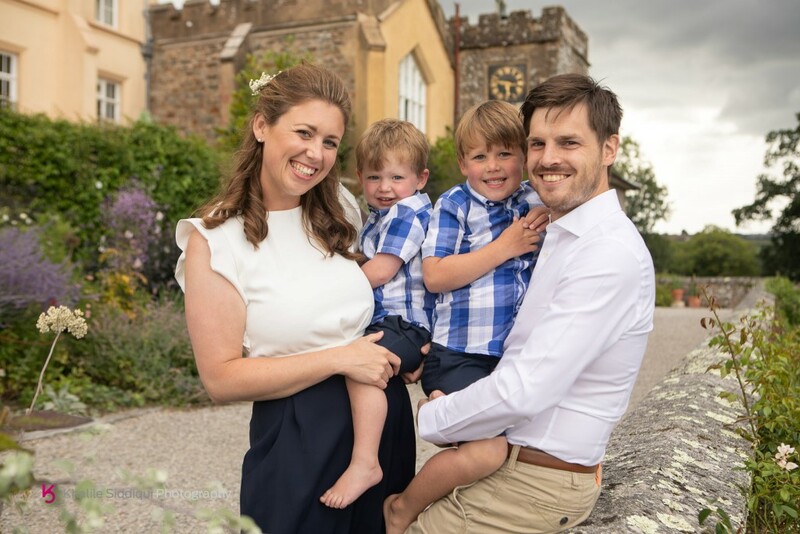 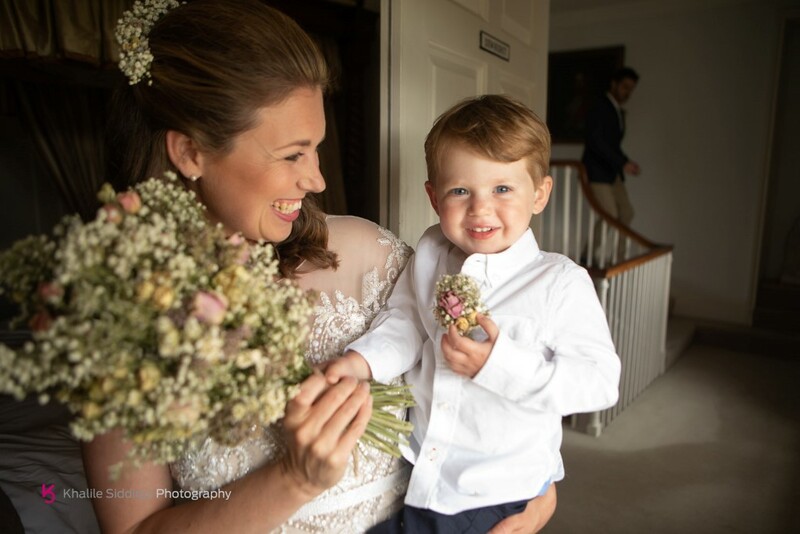 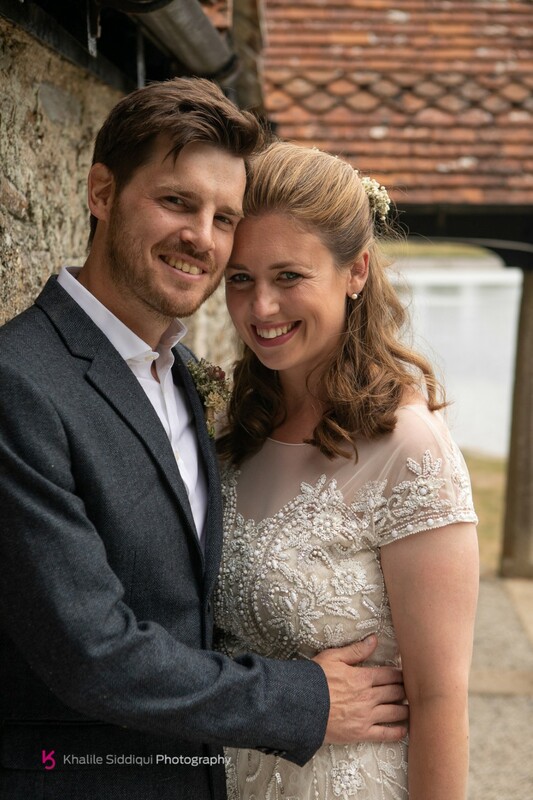 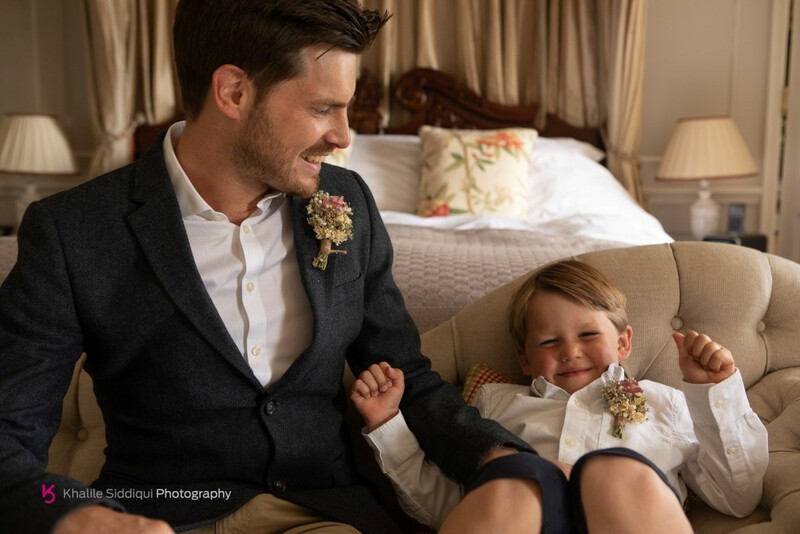 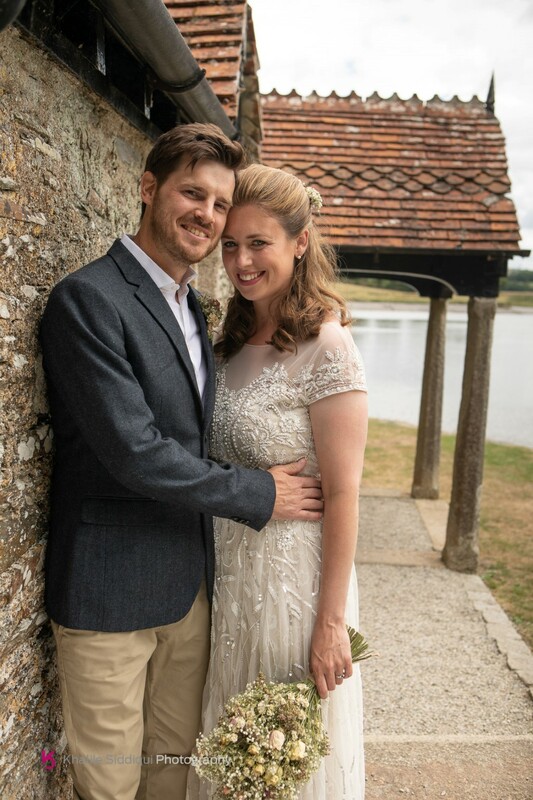 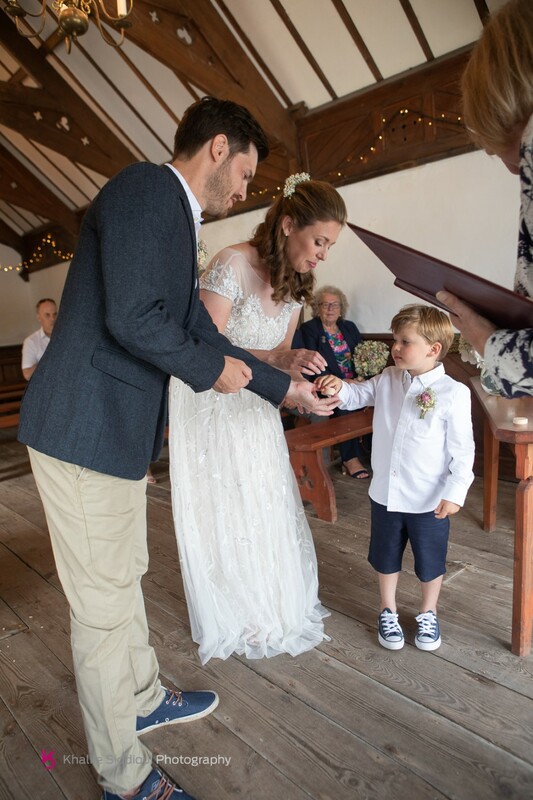 Today I am thrilled to share this relaxed and family focused Cornwall Wedding at Pentillie Castle. 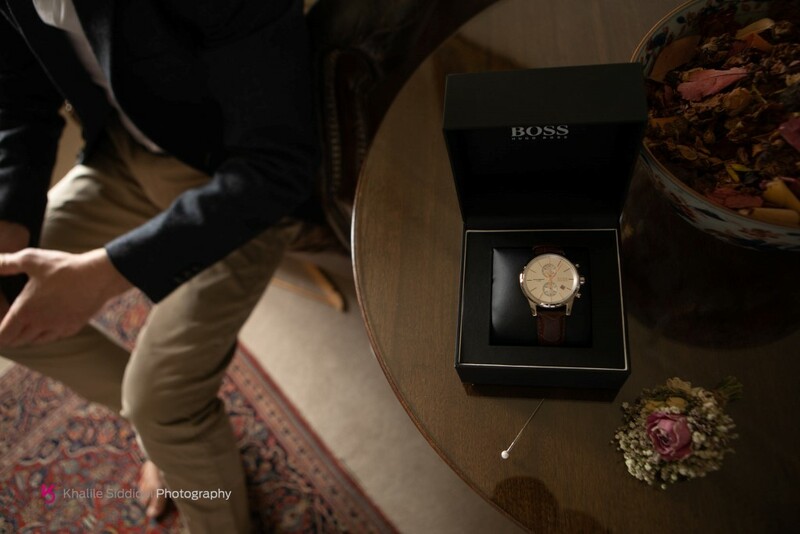 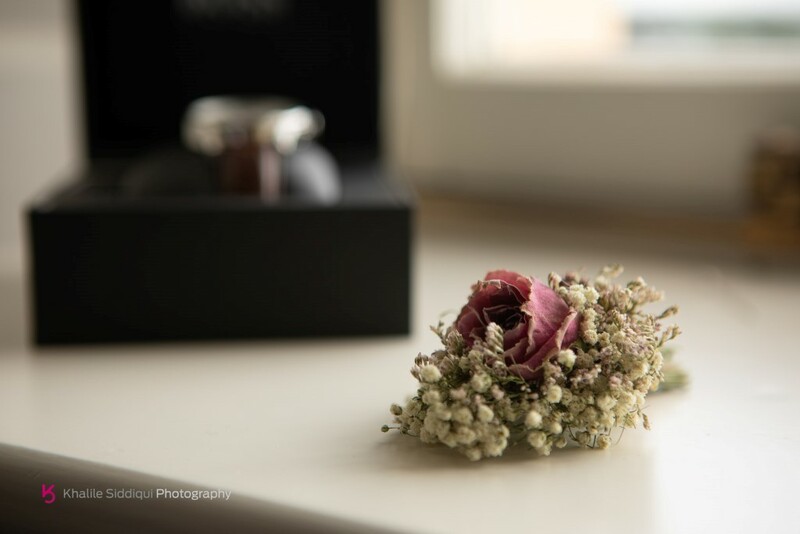 Images were captured by Khalile Siddiqui Photography. 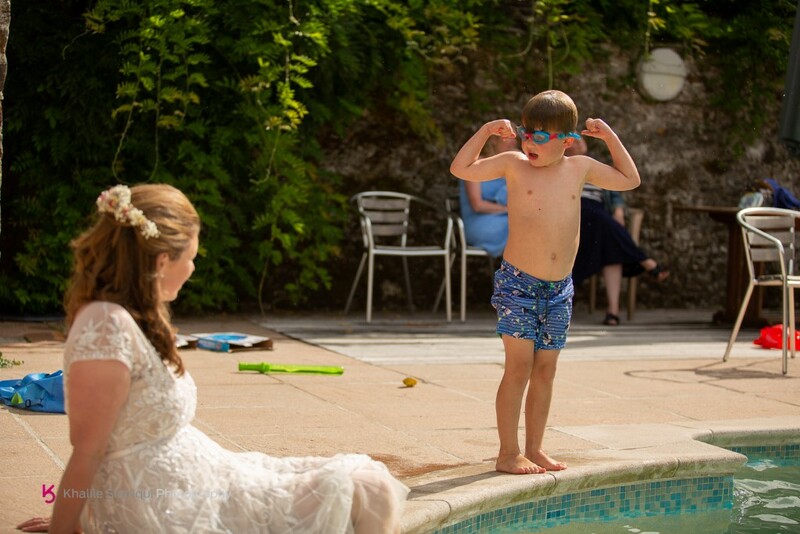 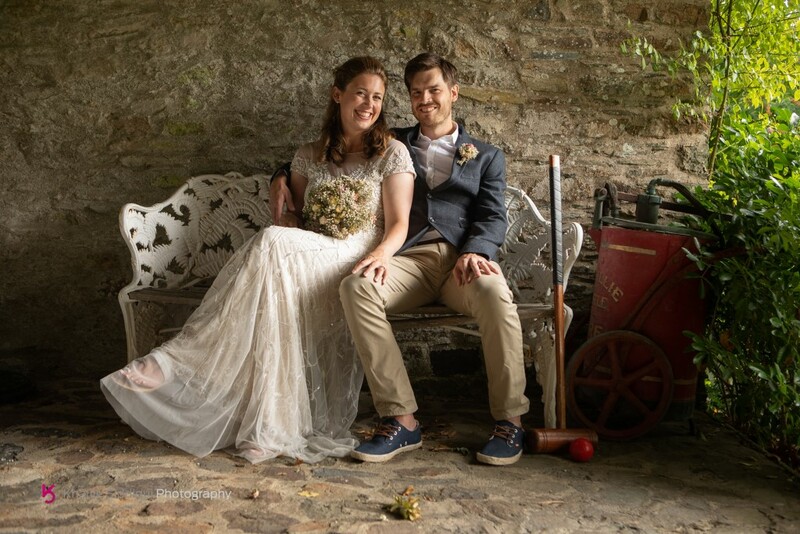 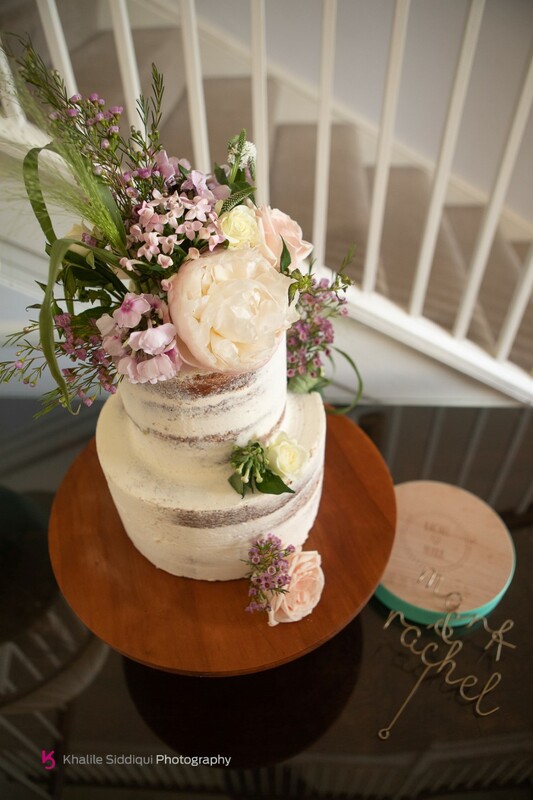 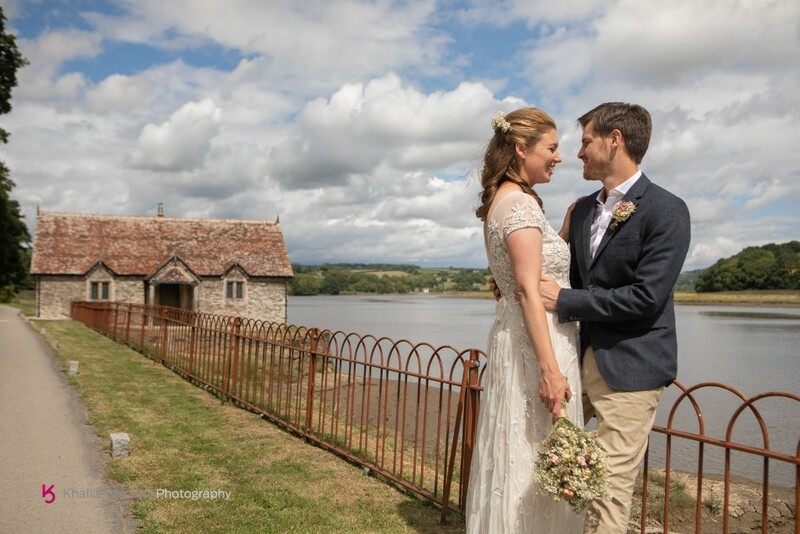 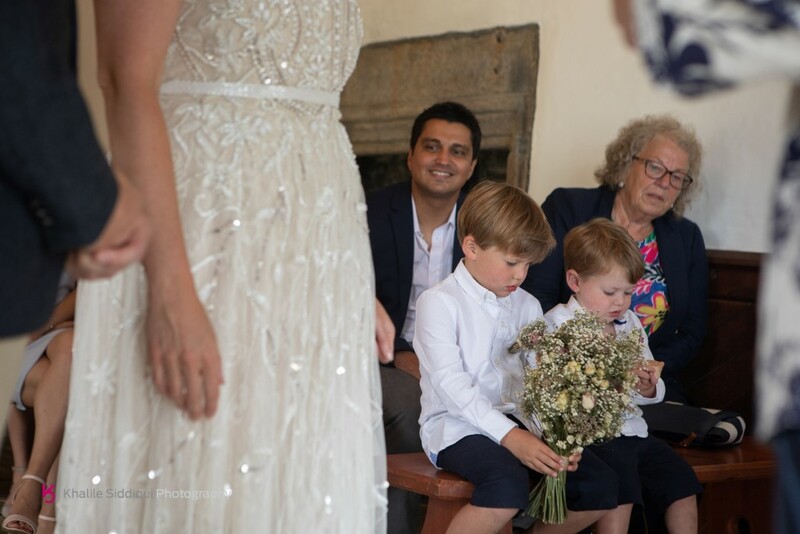 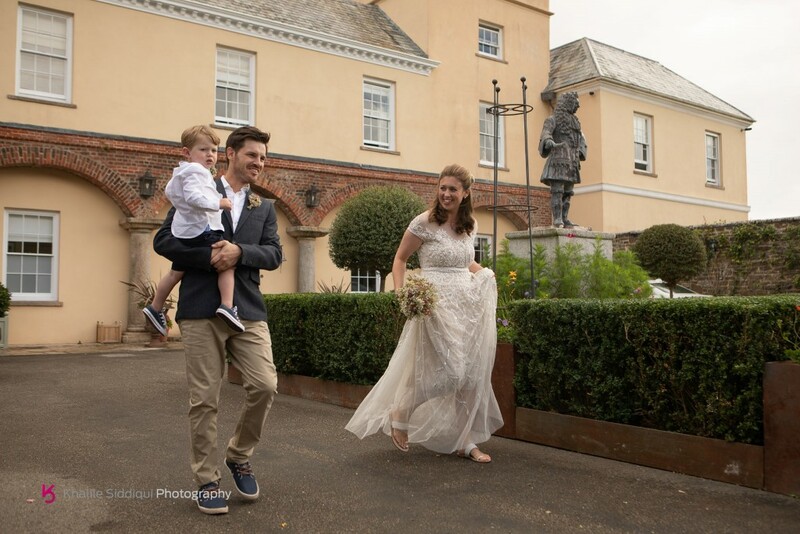 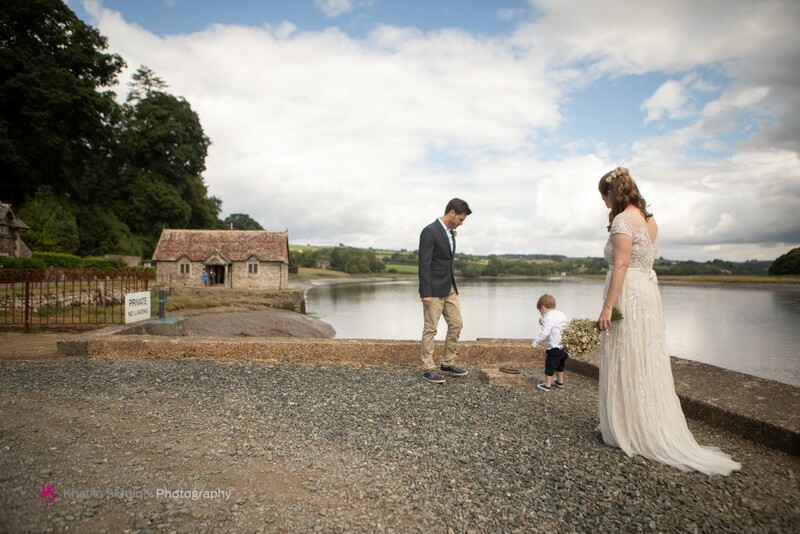 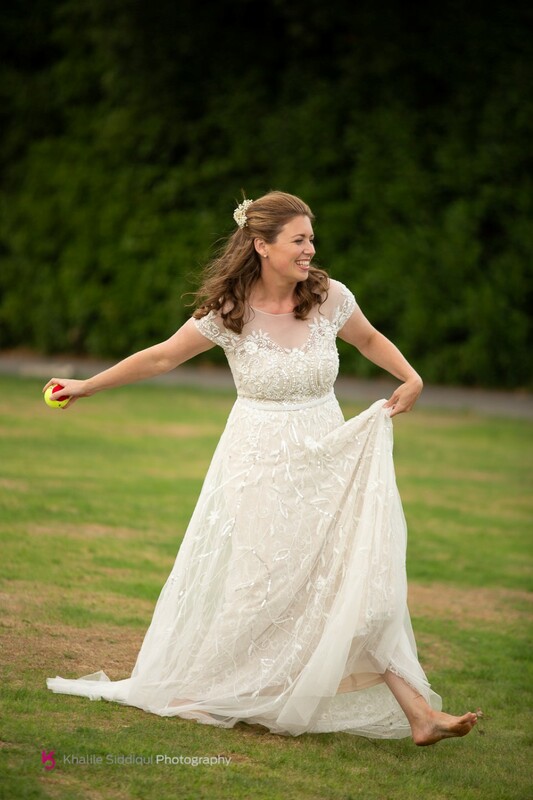 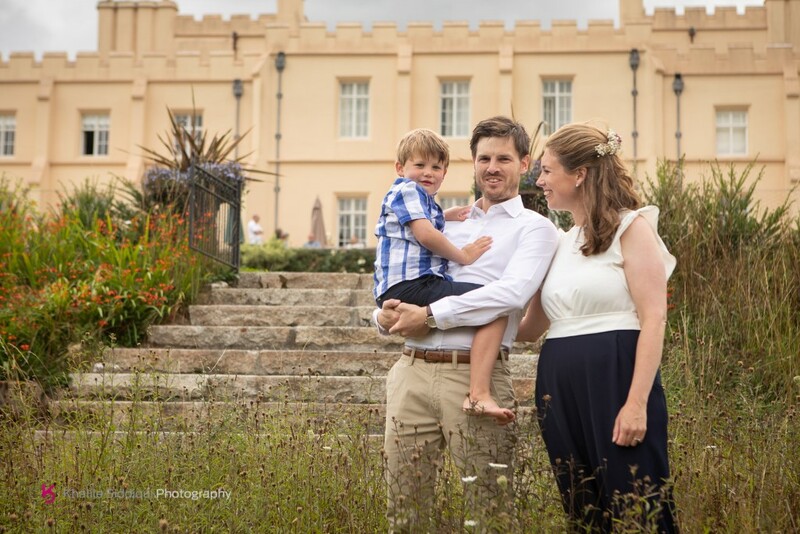 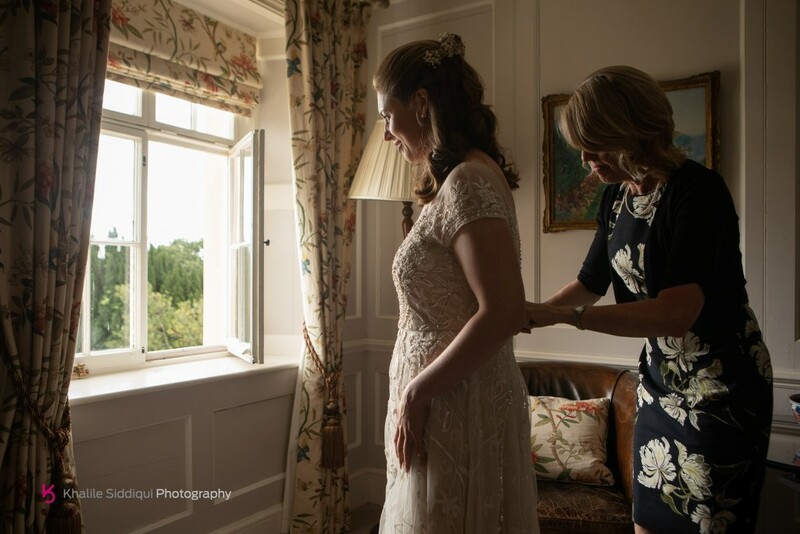 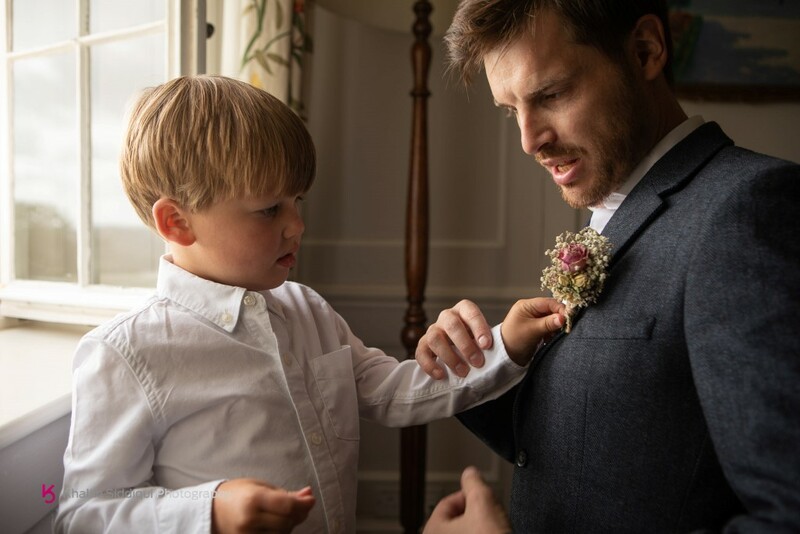 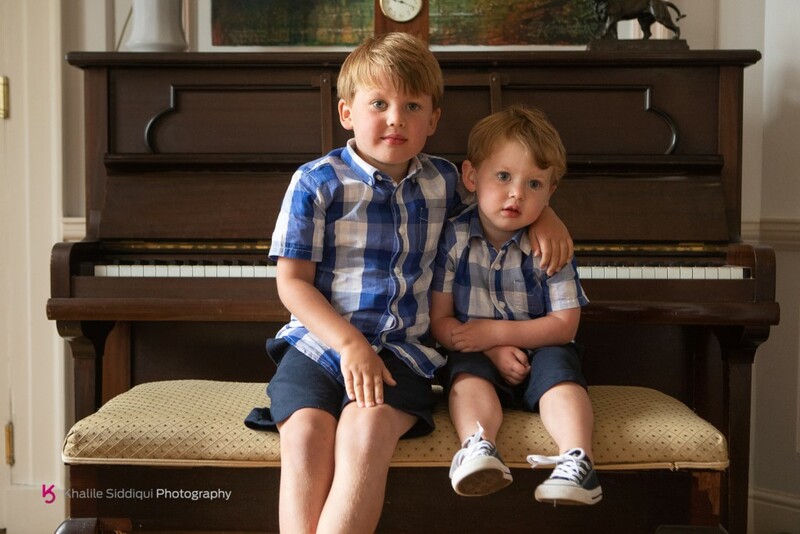 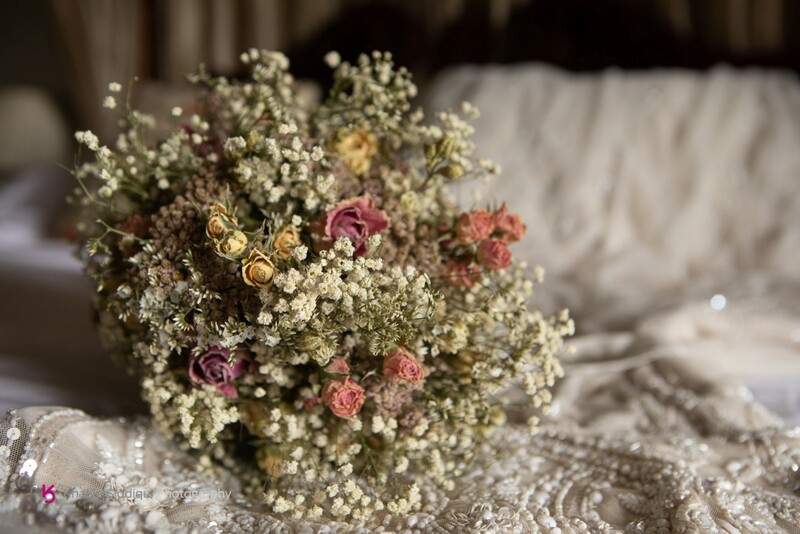 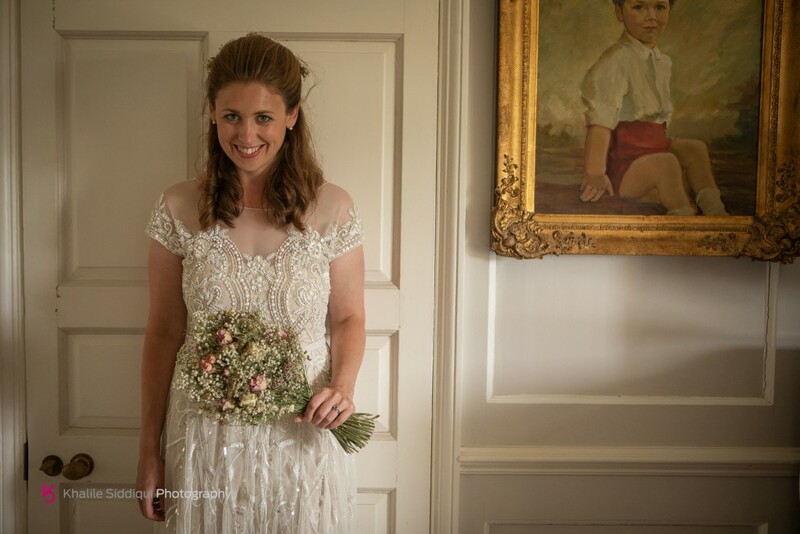 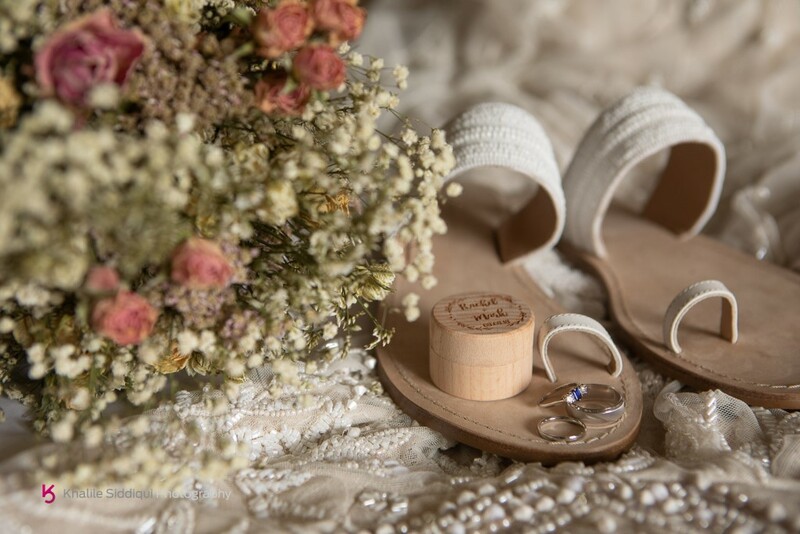 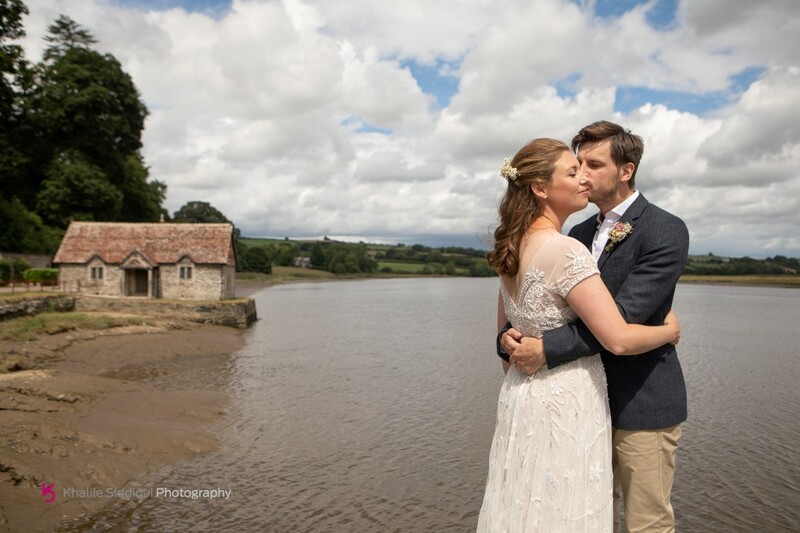 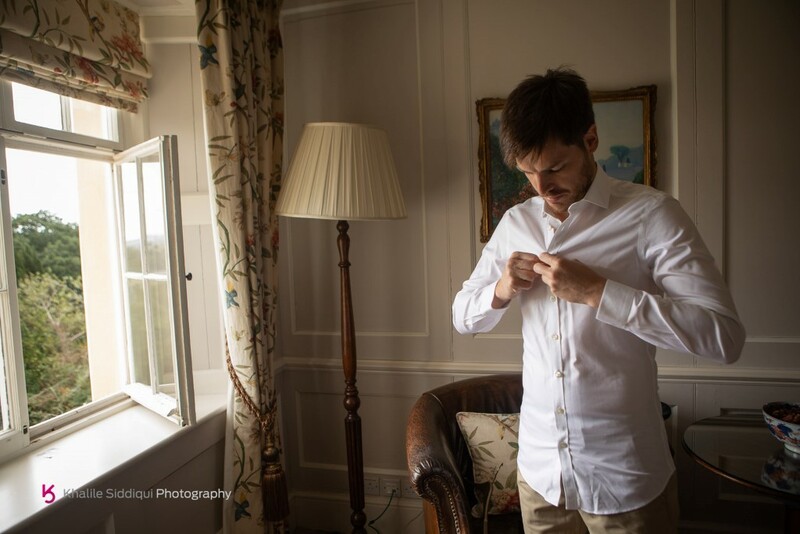 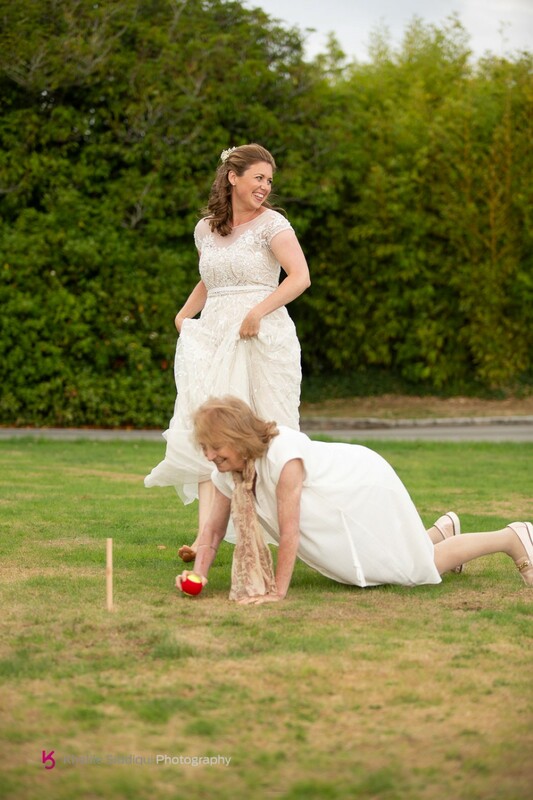 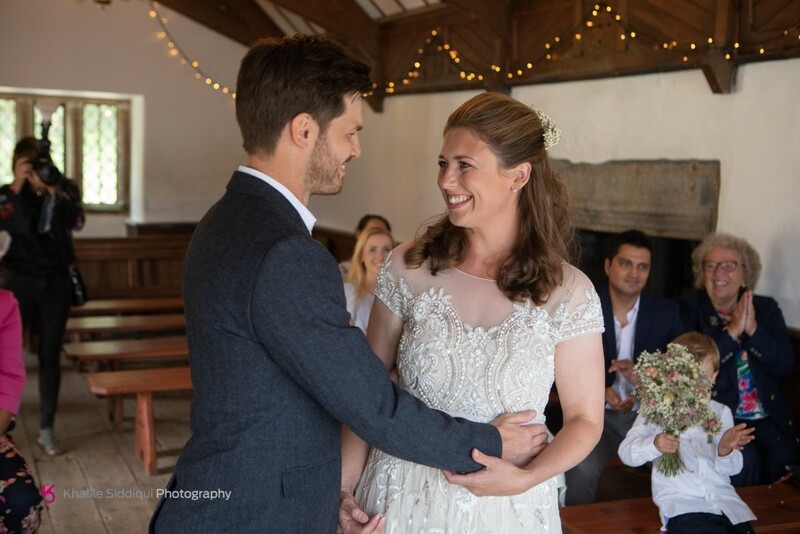 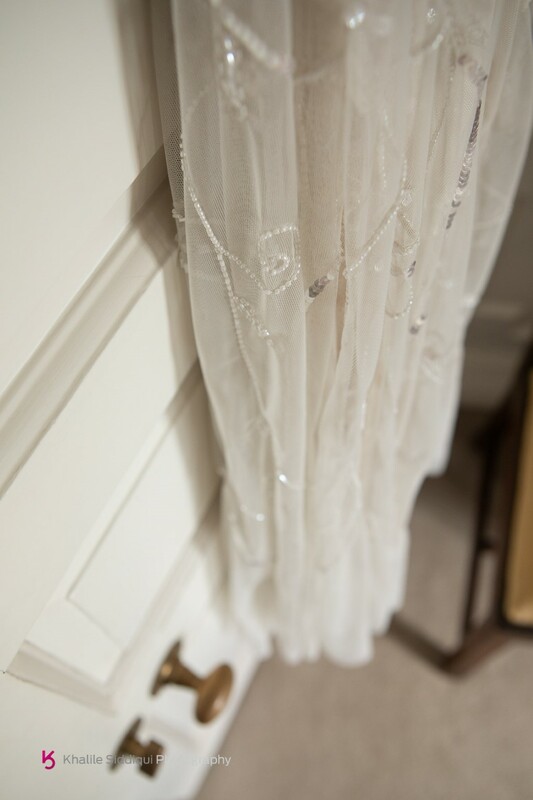 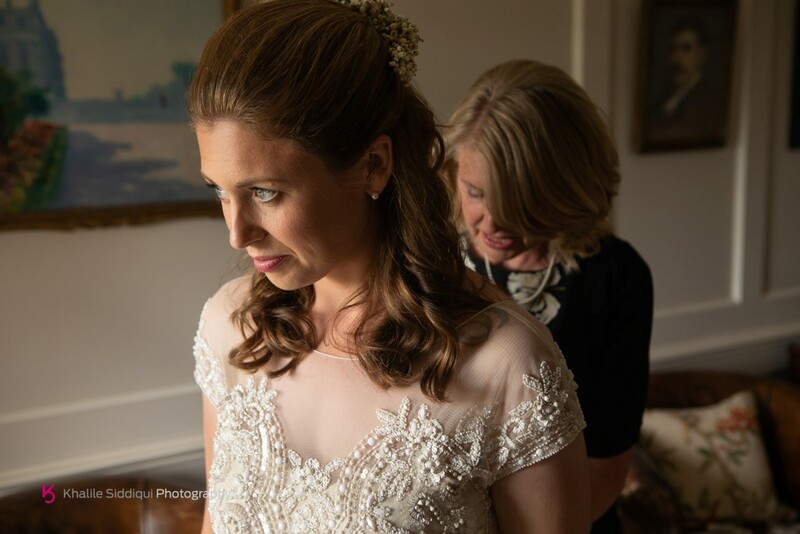 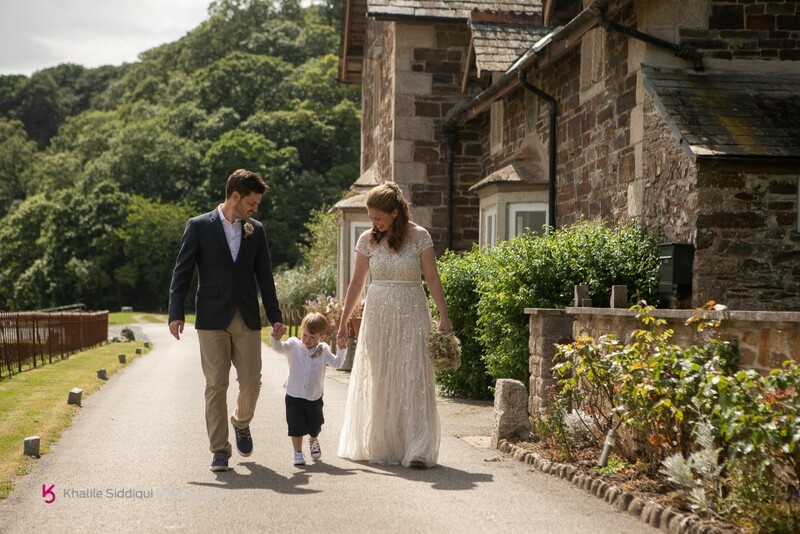 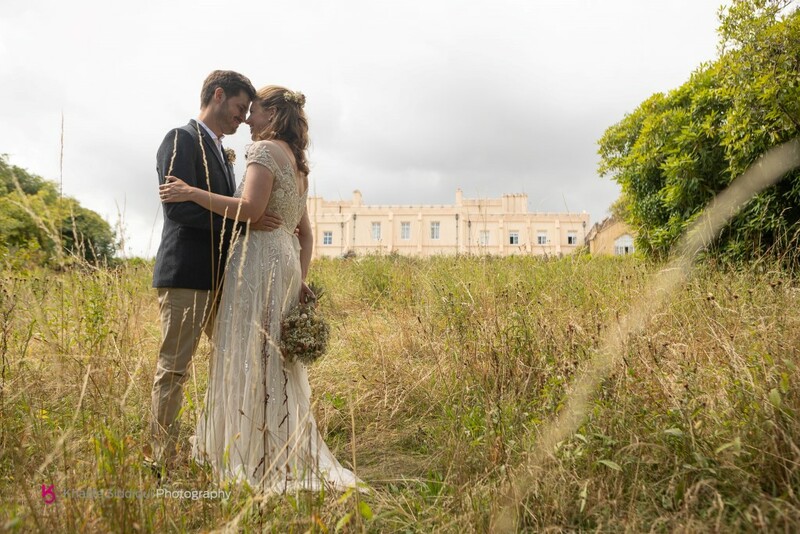 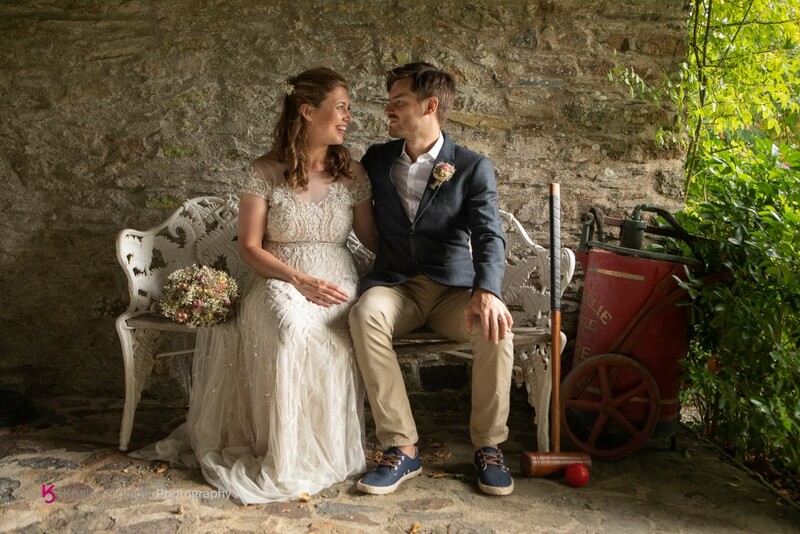 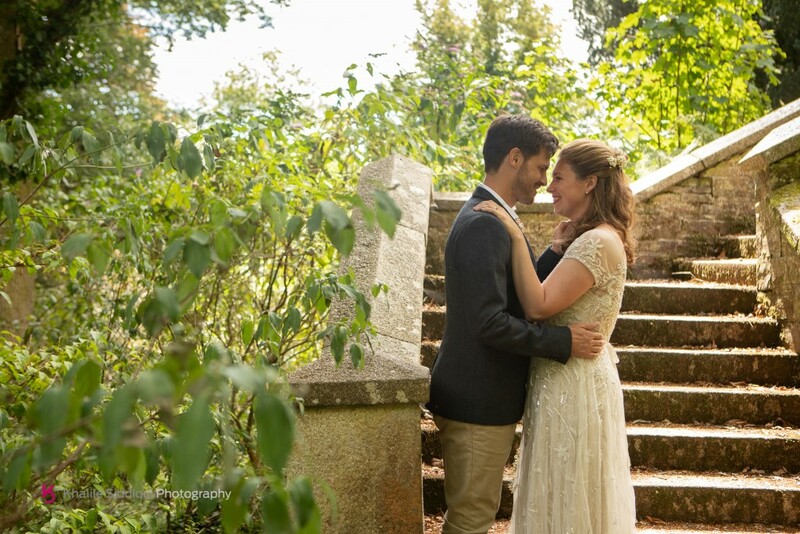 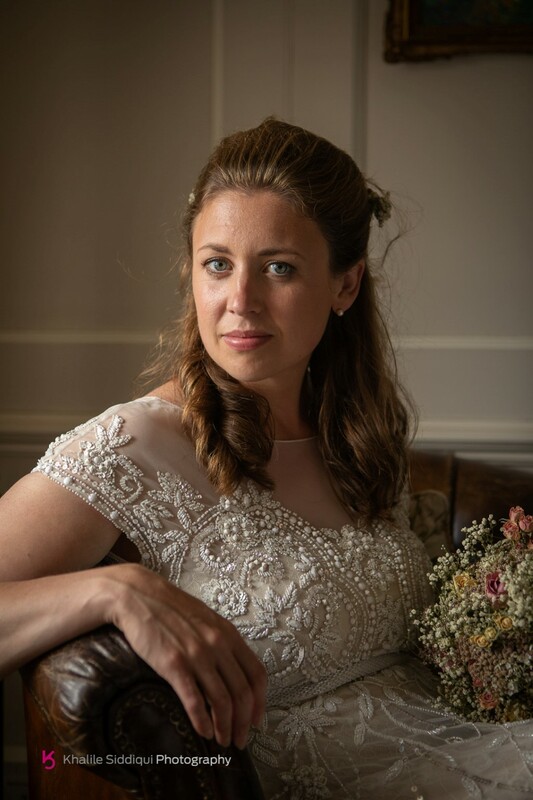 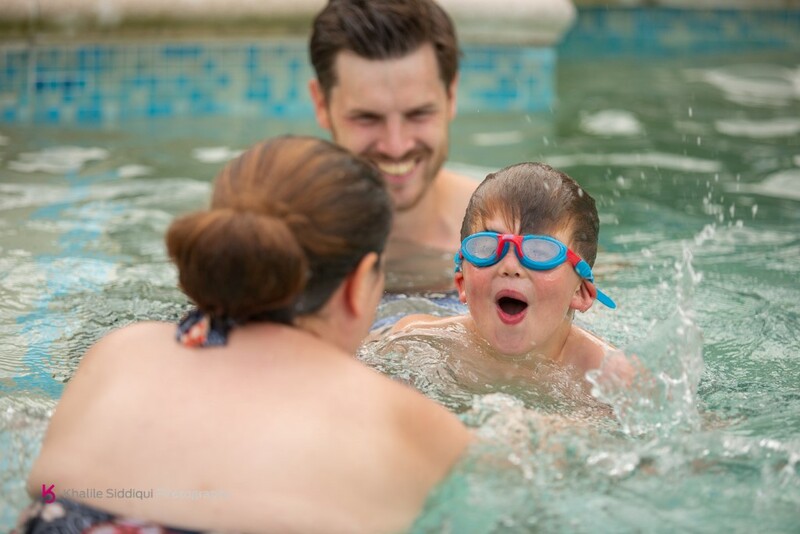 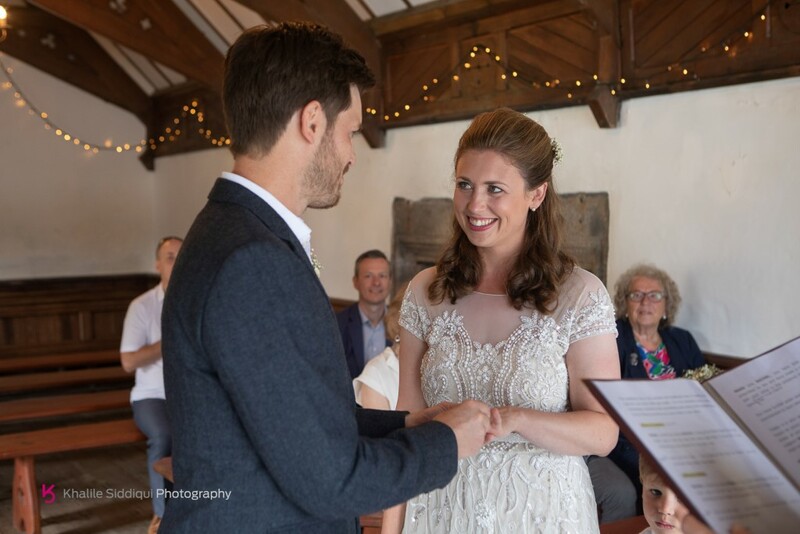 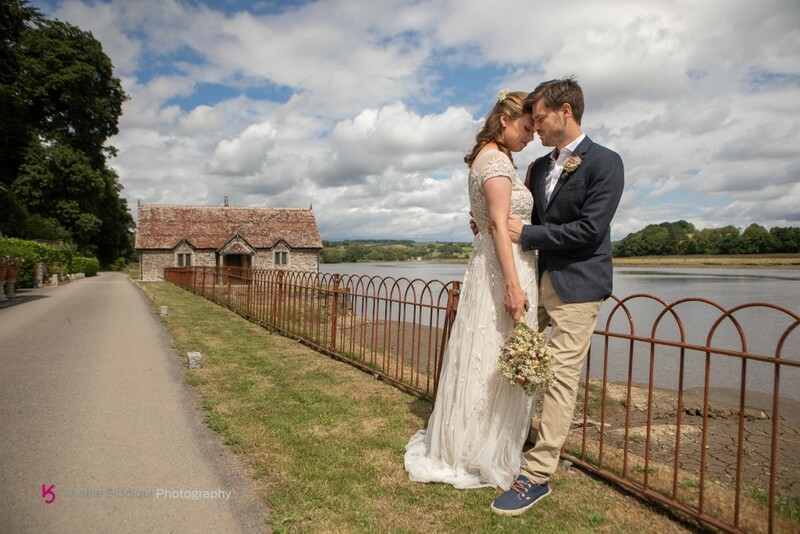 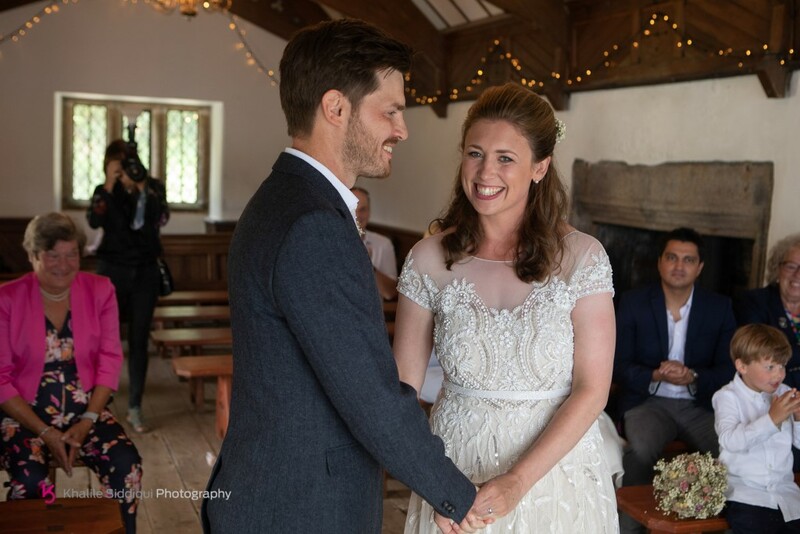 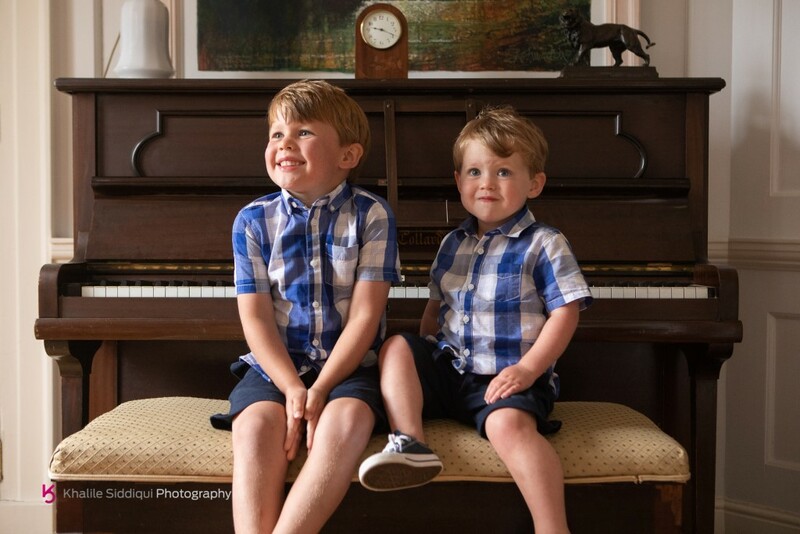 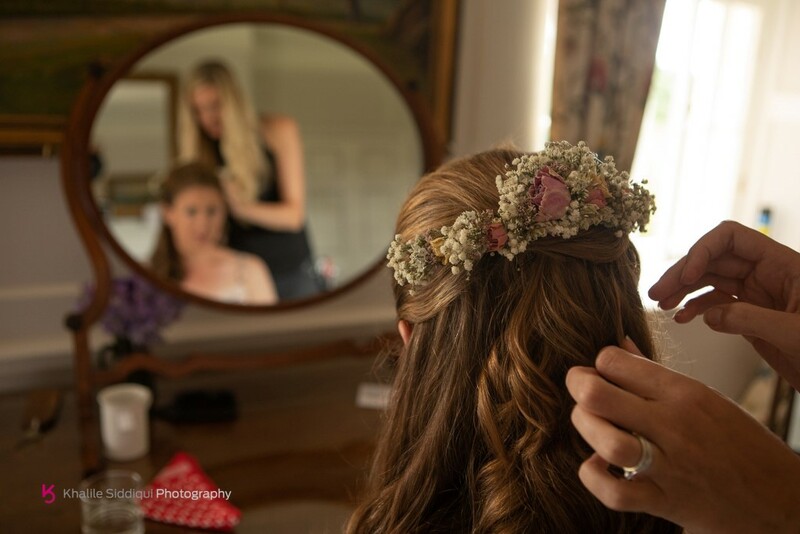 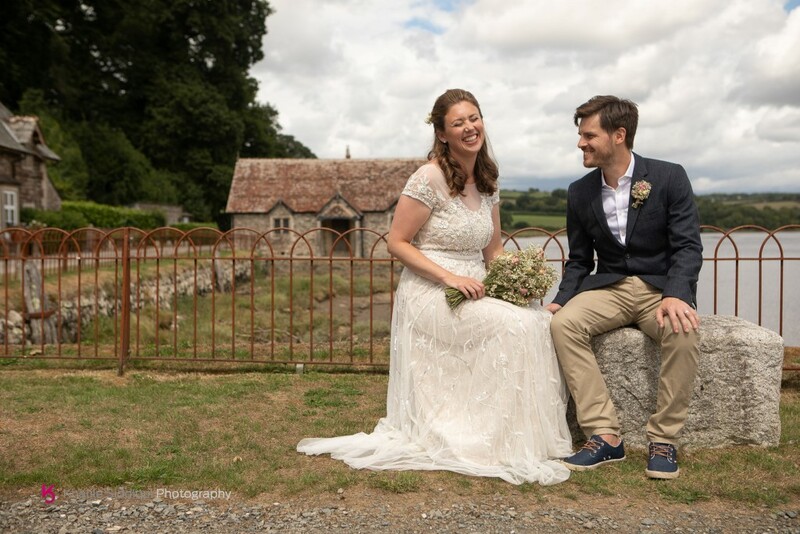 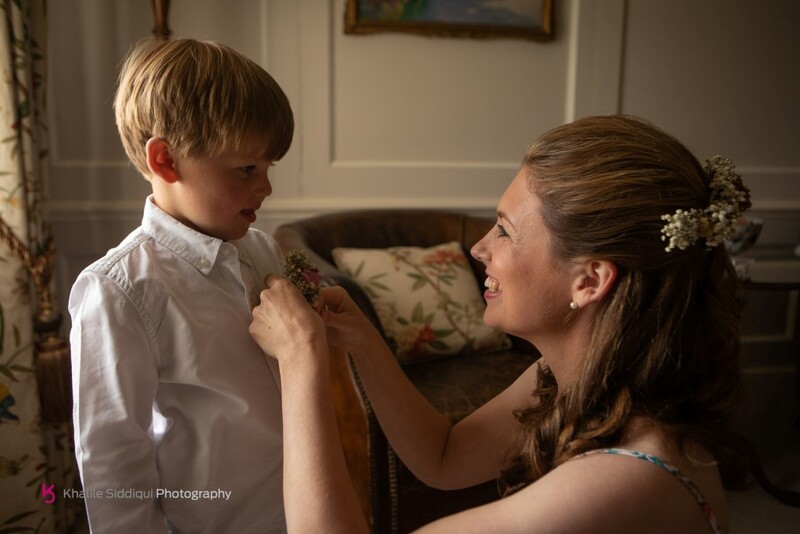 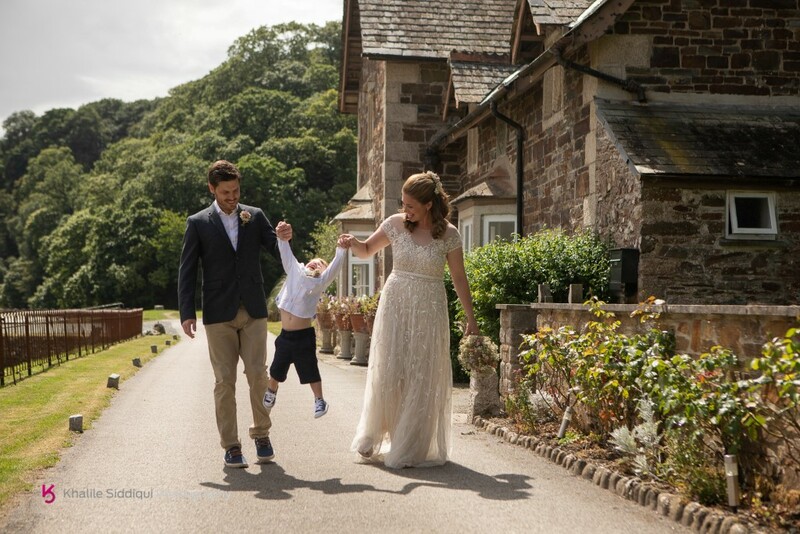 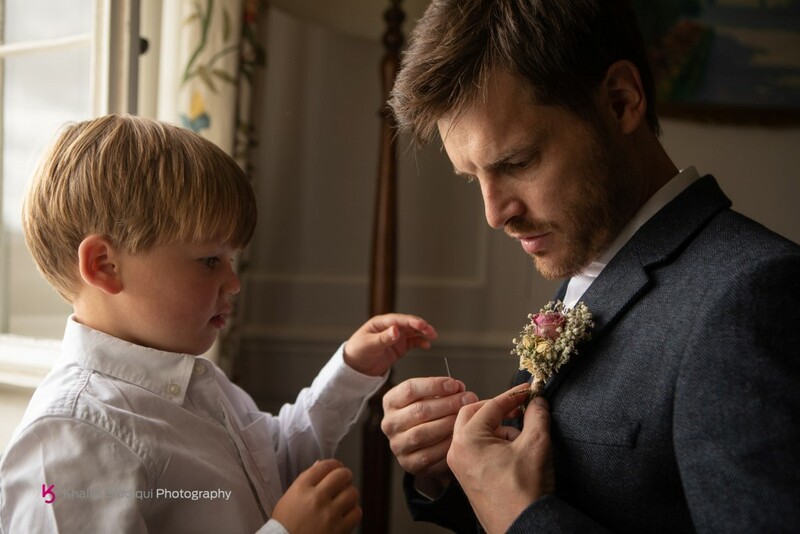 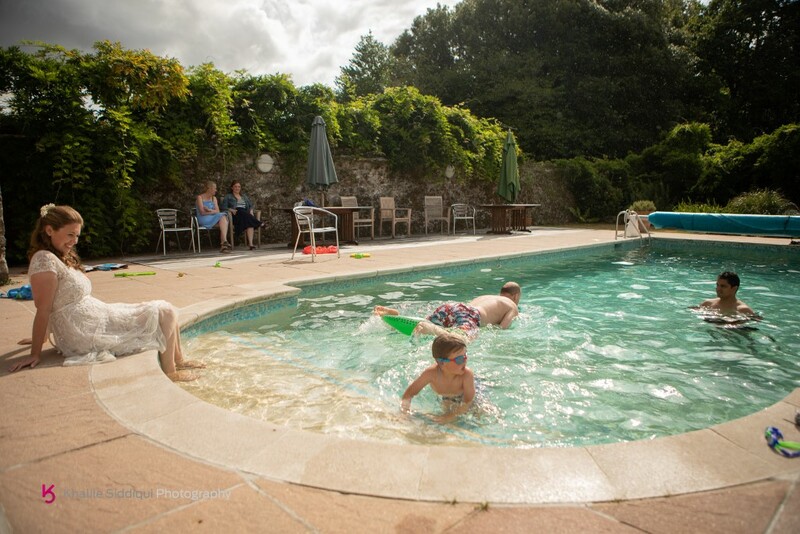 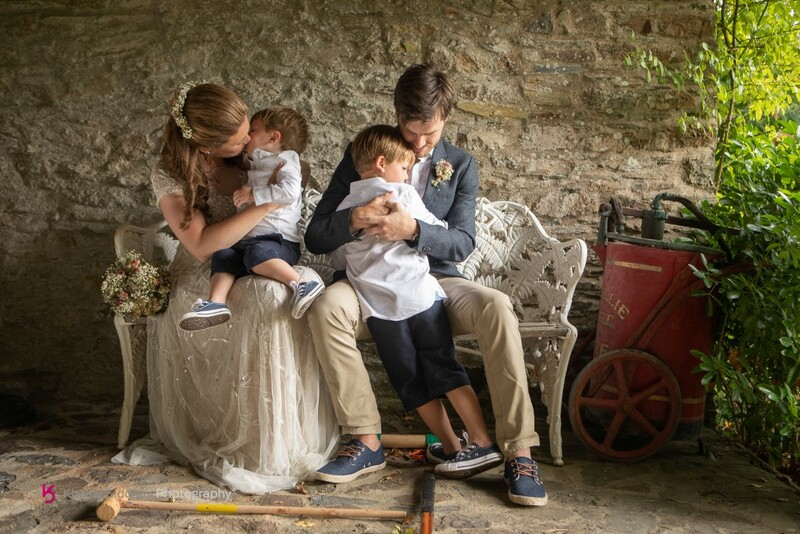 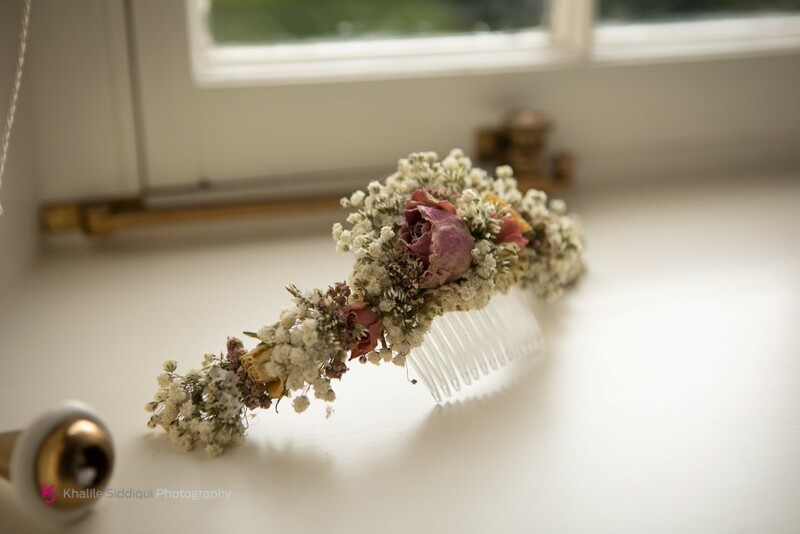 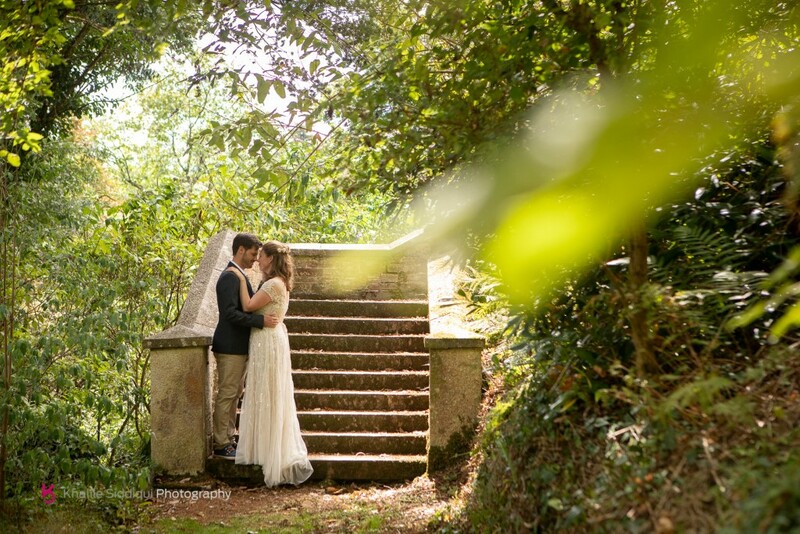 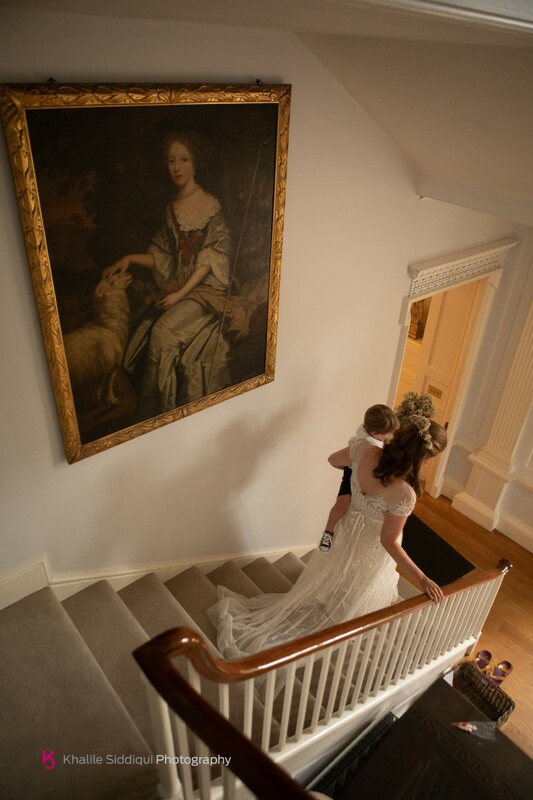 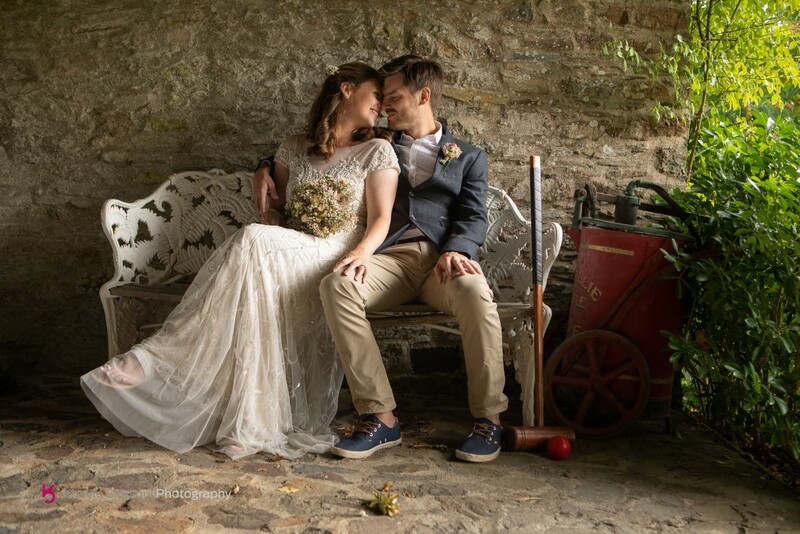 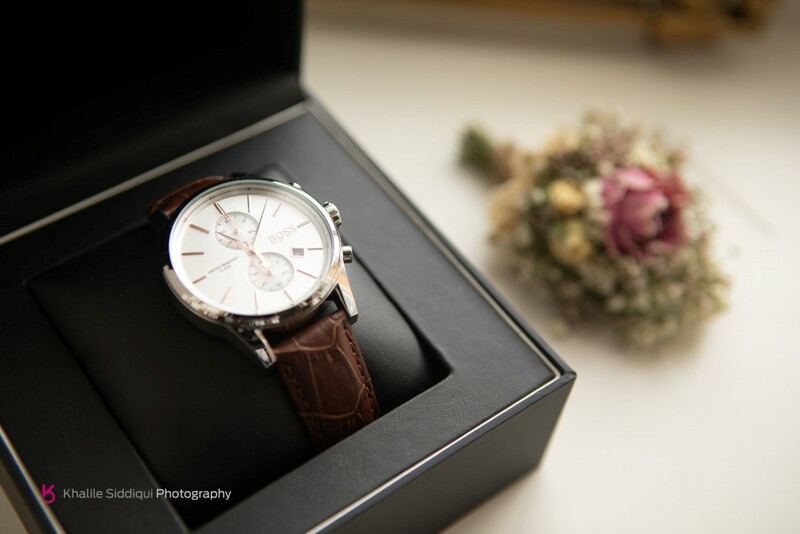 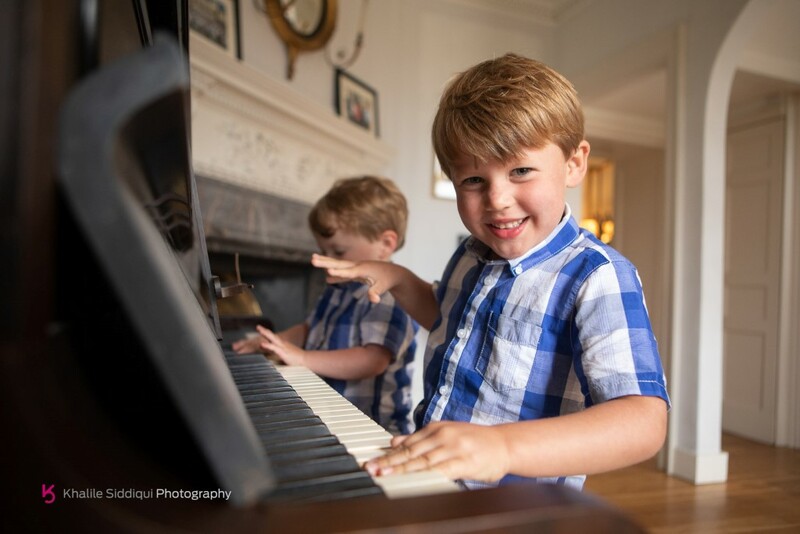 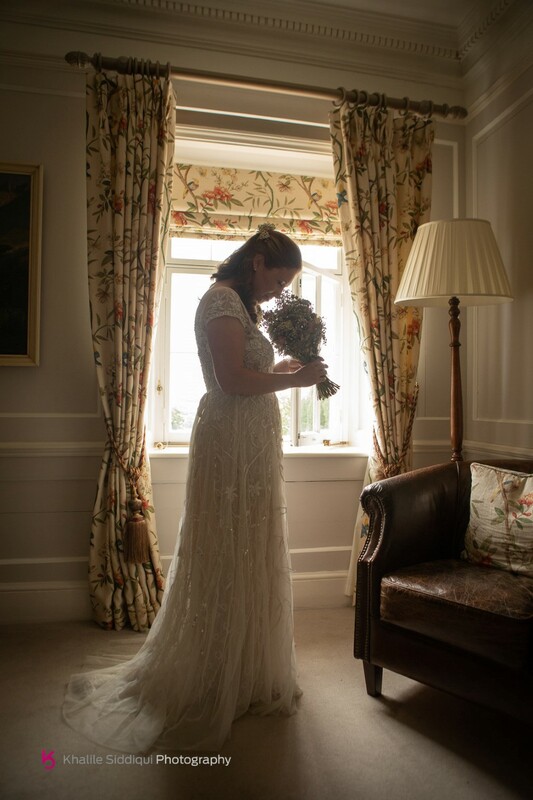 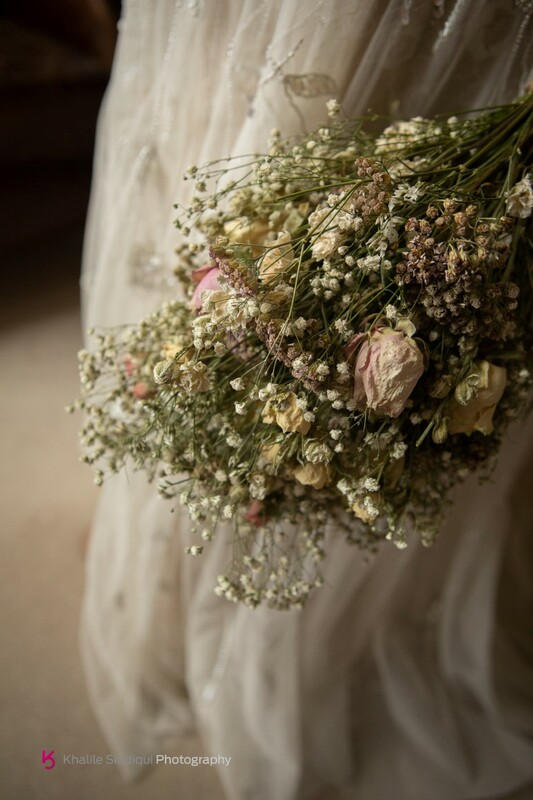 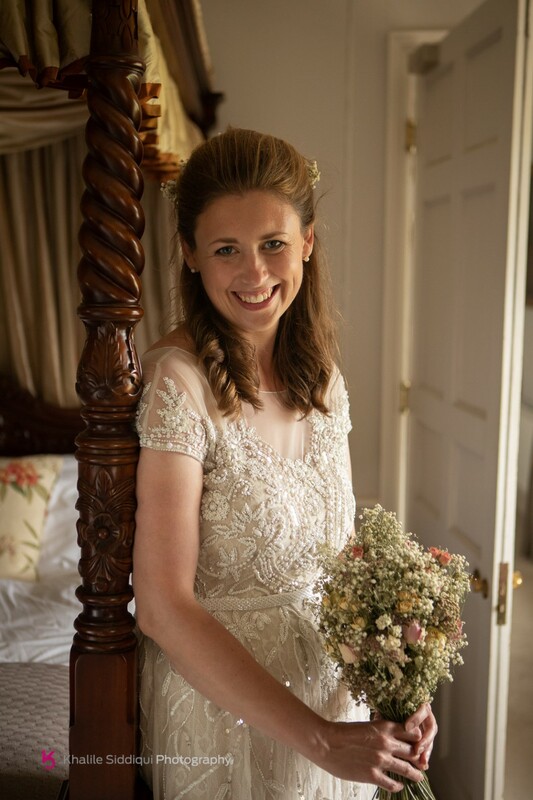 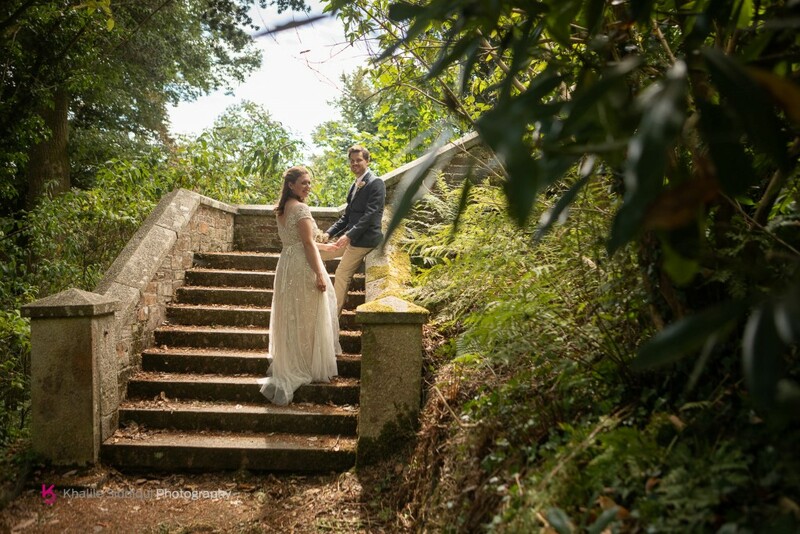 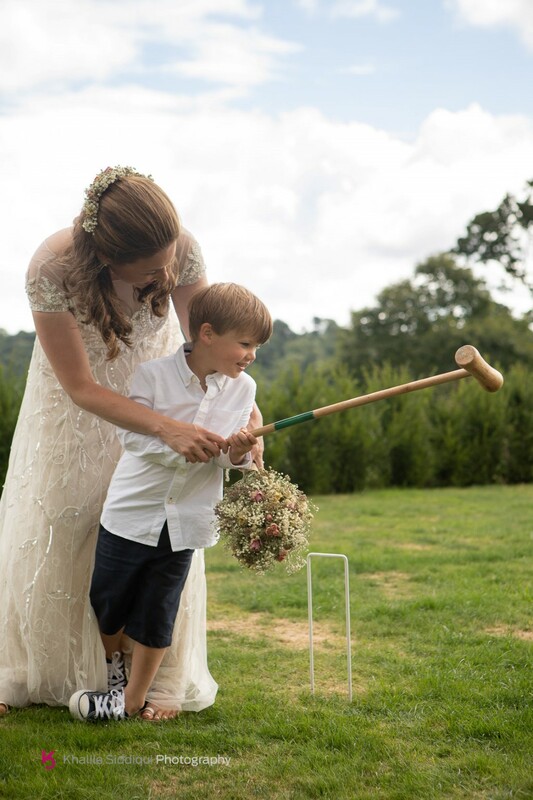 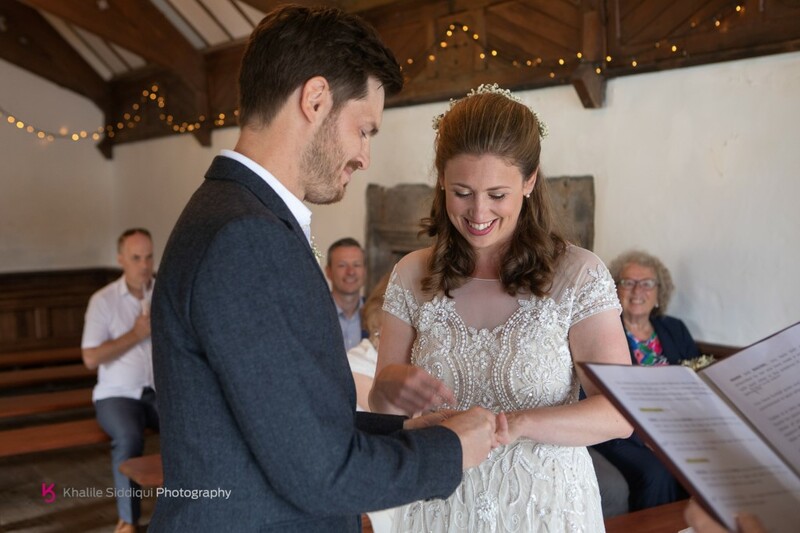 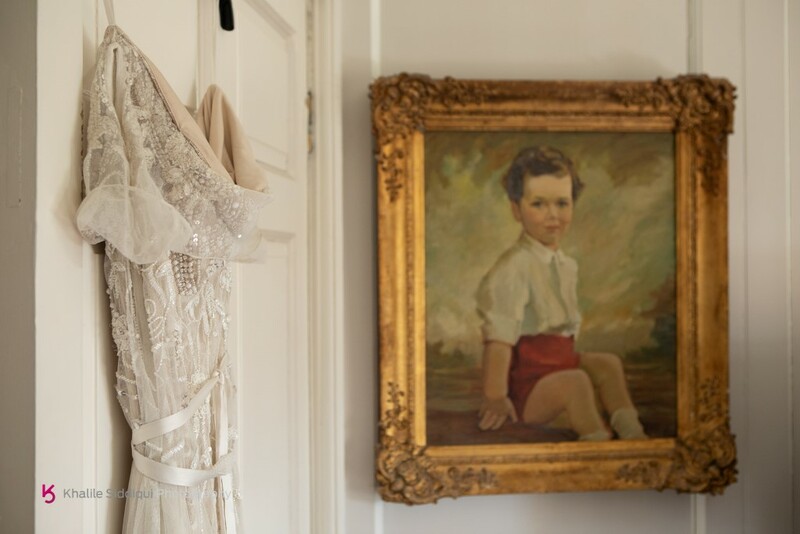 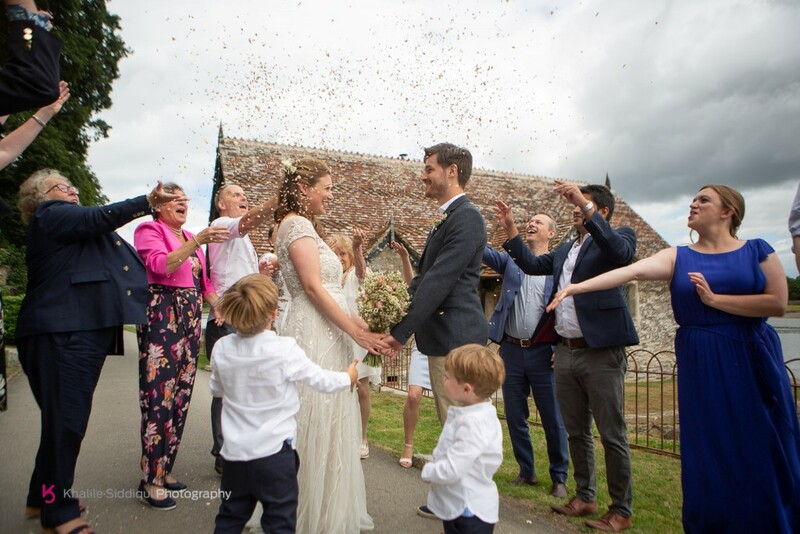 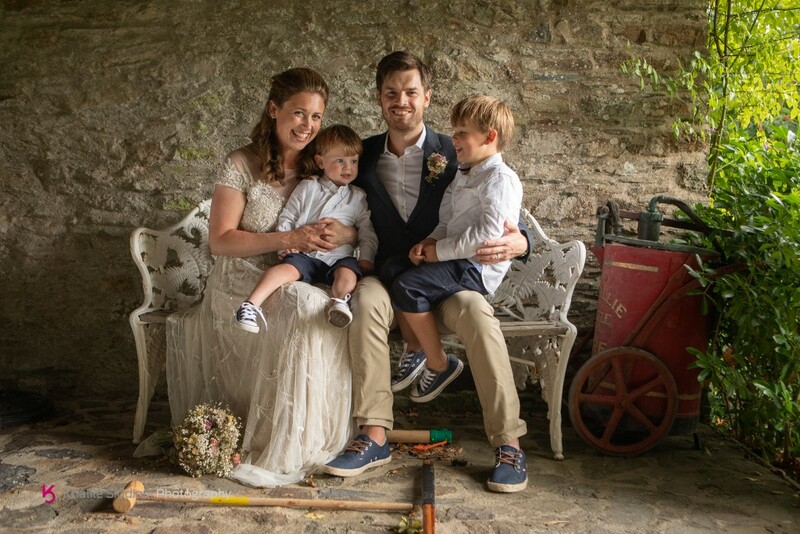 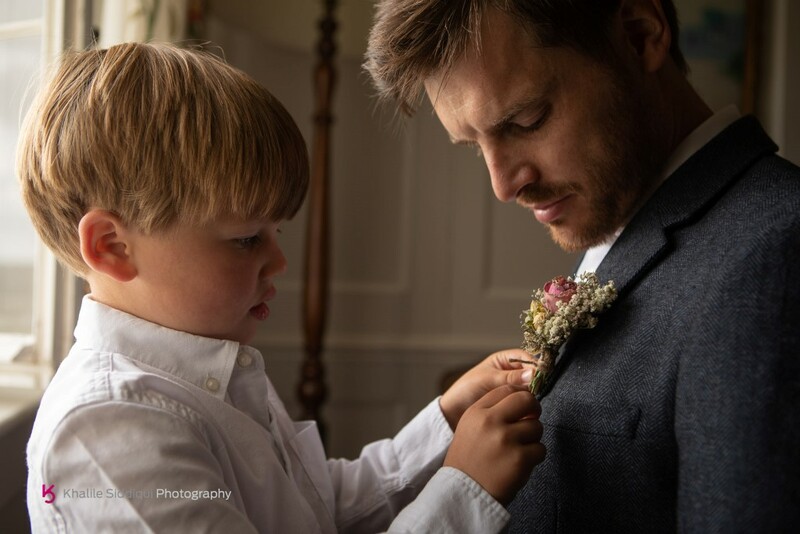 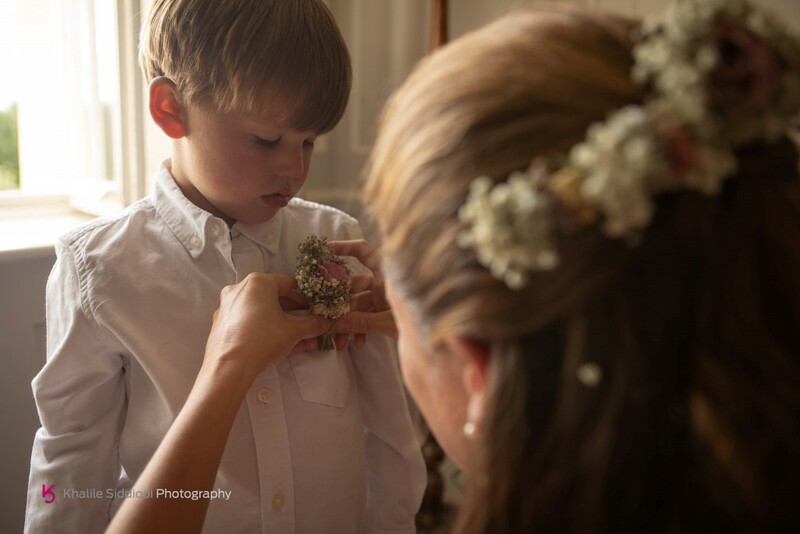 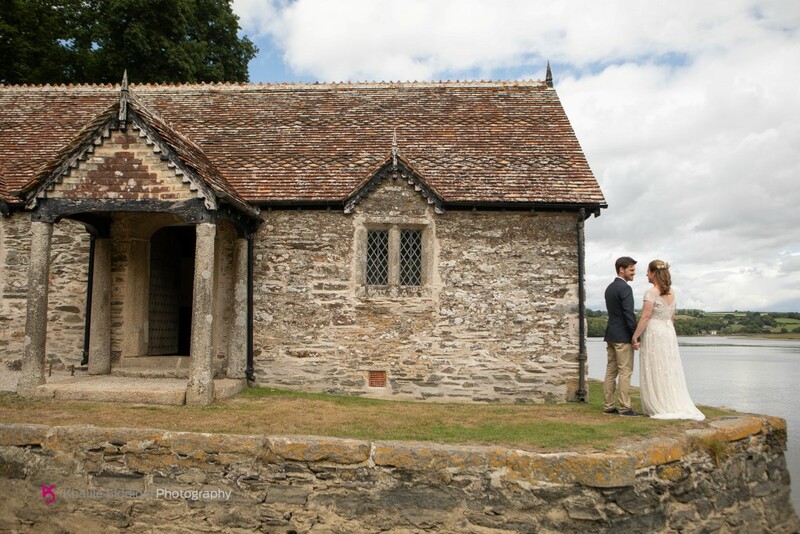 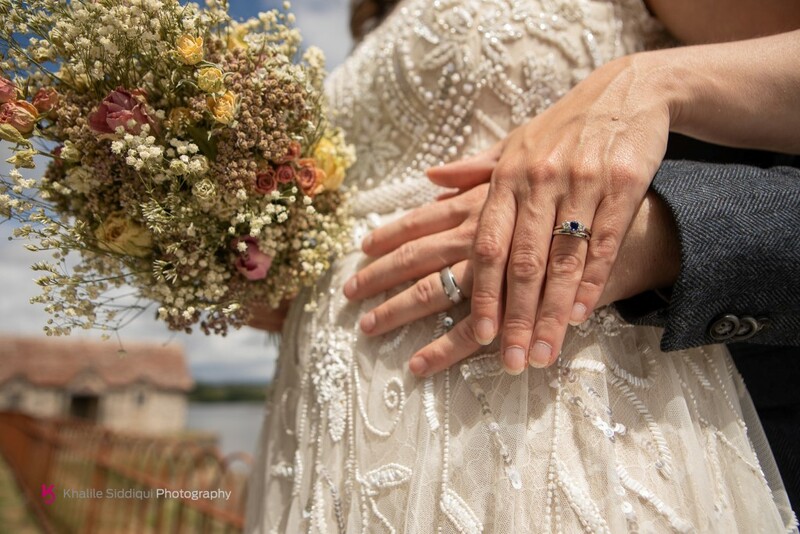 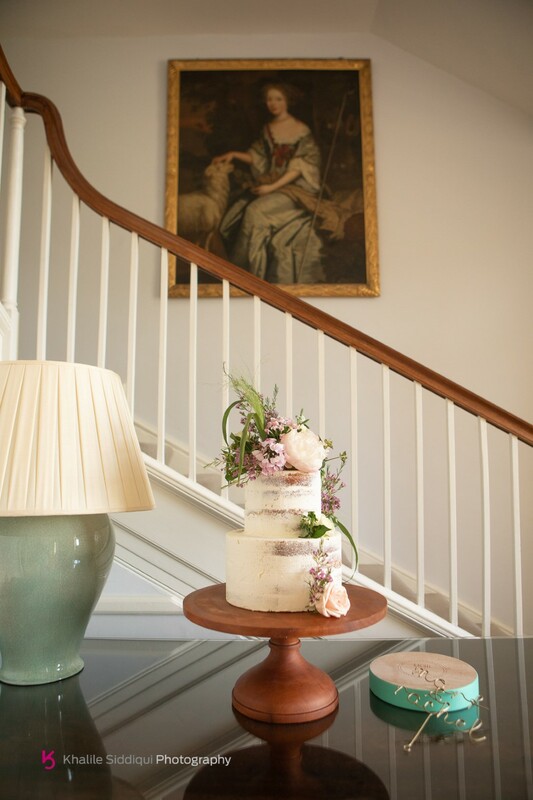 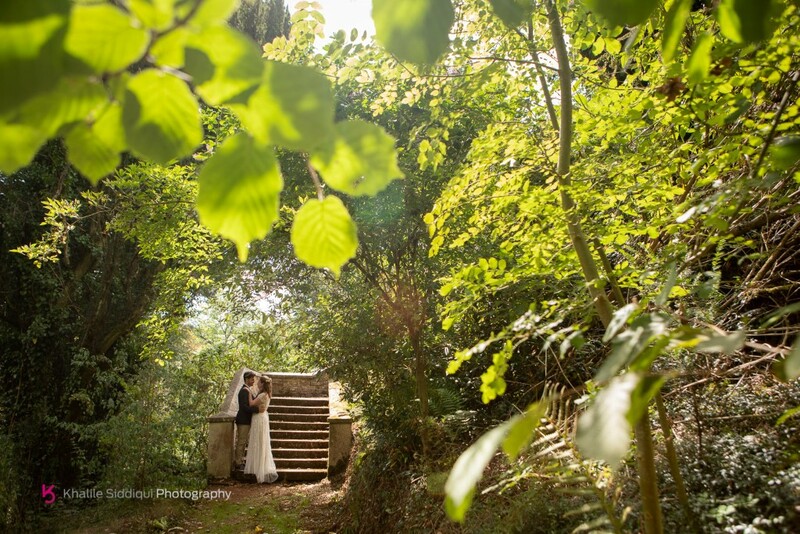 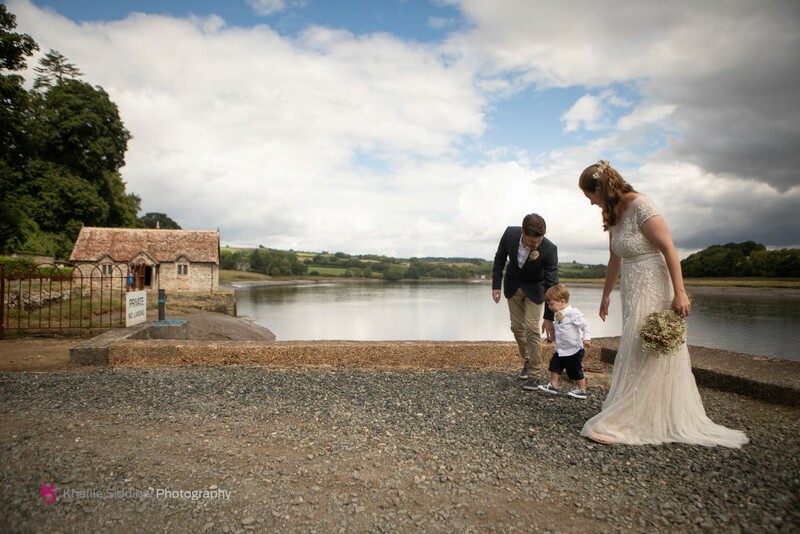 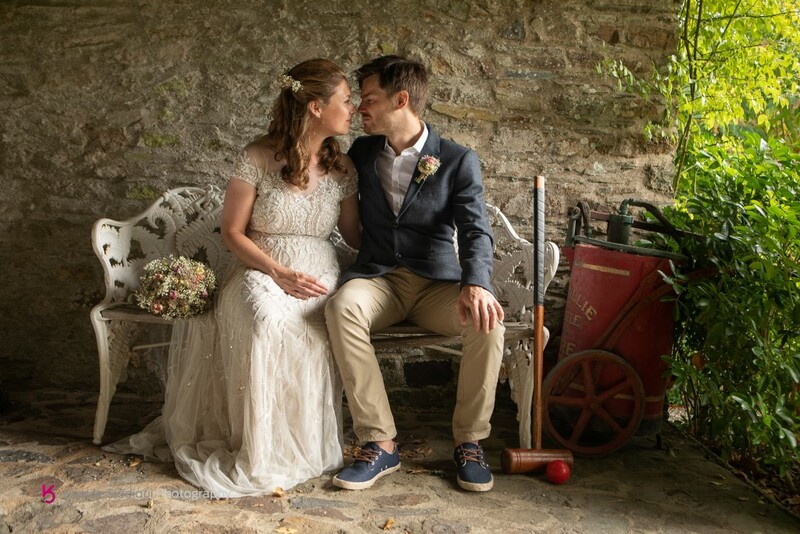 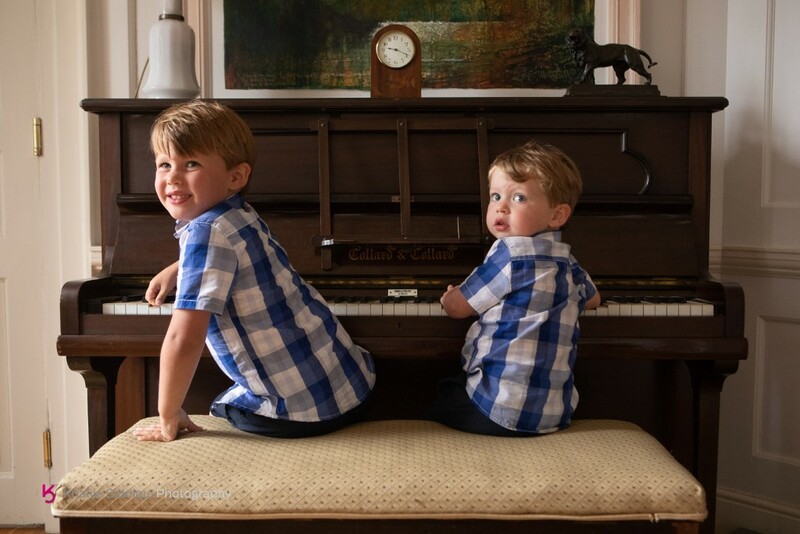 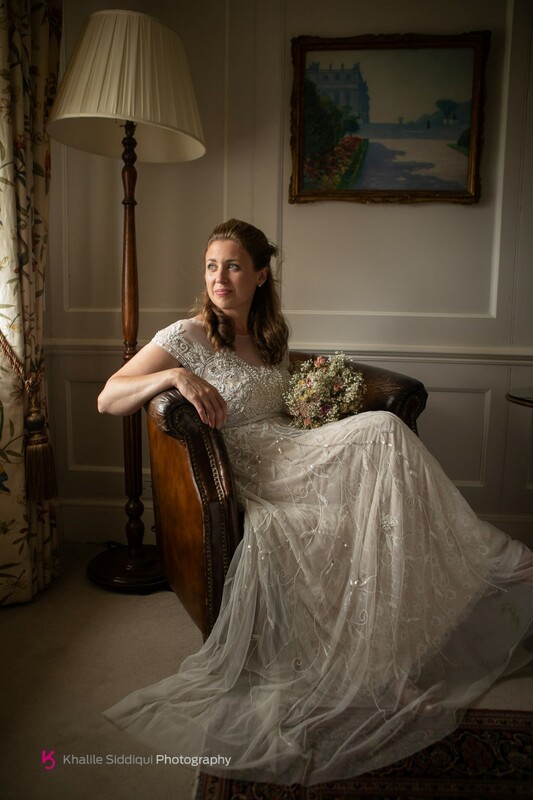 Khalile Siddiqui is a multi award winning wedding photographer based in Truro, Cornwall. 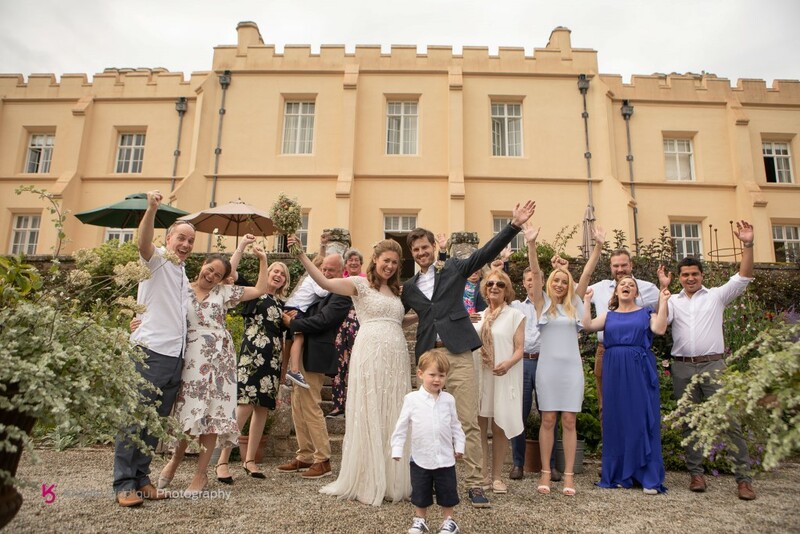 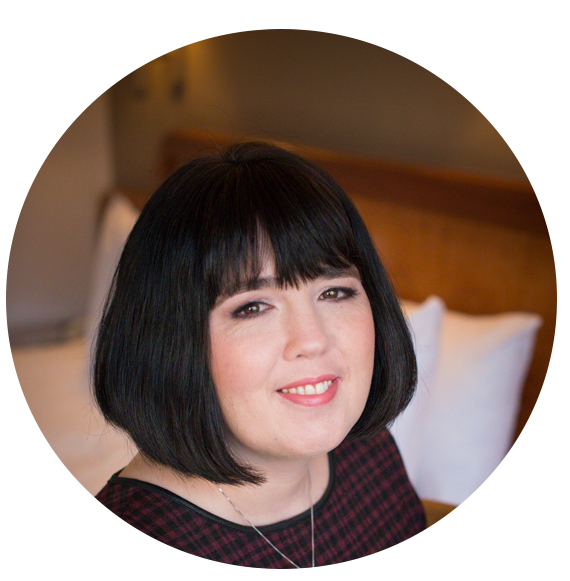 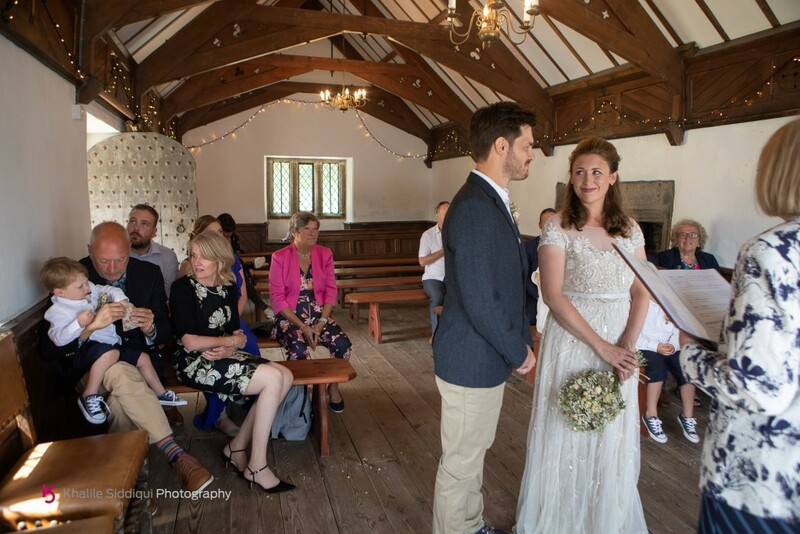 When Rachel first got in contact about her Pentillie Castle Wedding she described it as a family party that happened to have a wedding ceremony in the middle of it. 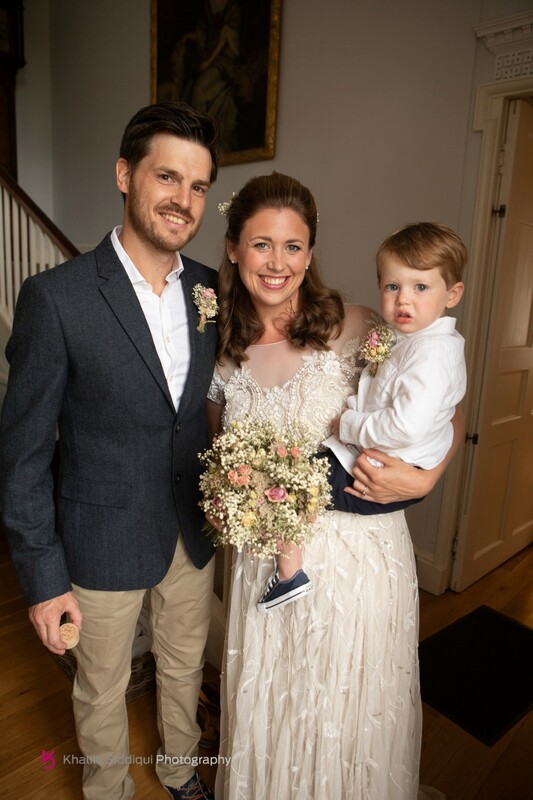 She also went on to say that herself and Mark had two young sons and that they had NO nice photos of the boys and that they’d love loads of images of them, so that was pretty much my brief. 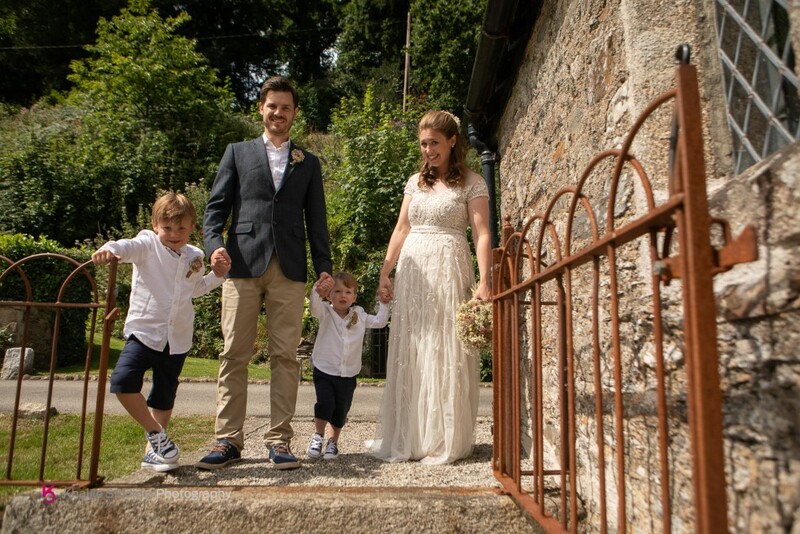 Their whole wedding party was just sixteen people in total and comprised of all family plus Mark’s best friend. 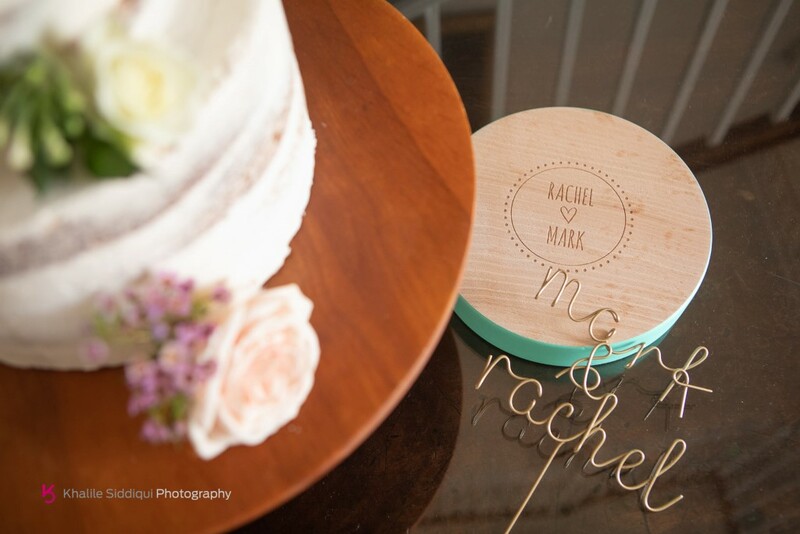 After considering Rachel stuck with the ten hours and here’s how the story unfolded. 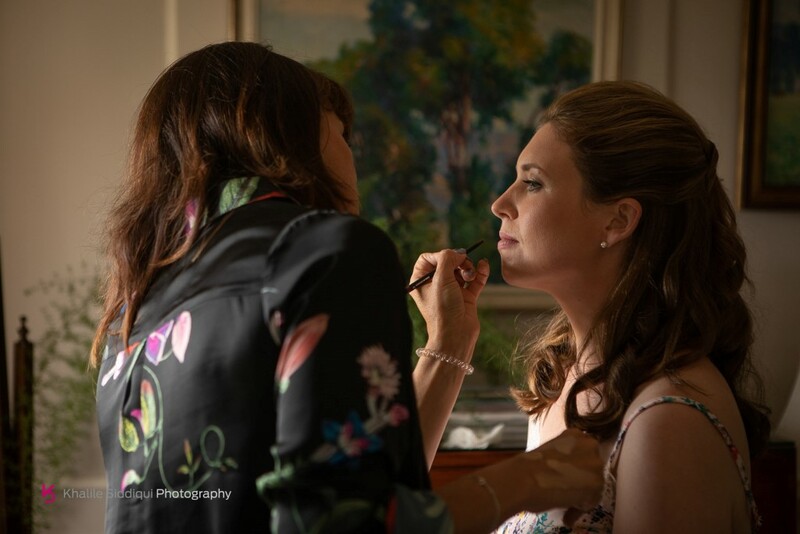 Rachel wanted an super relaxed laid back day, but did have a little pampering in the form of having hers, her mum and sisters makeup done by my wife Tamsyn Siddiqui. 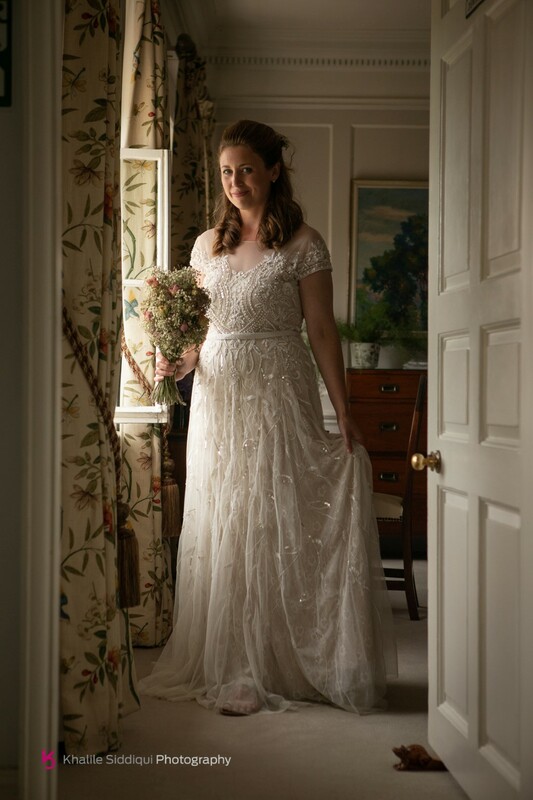 For her dress Rachel went to John Lewis, and when she told me about it at our pre-wedding meeting I was expecting quite a modest number, but her dress was super elaborate, covered top to bottom in the most beautiful ornate beading. 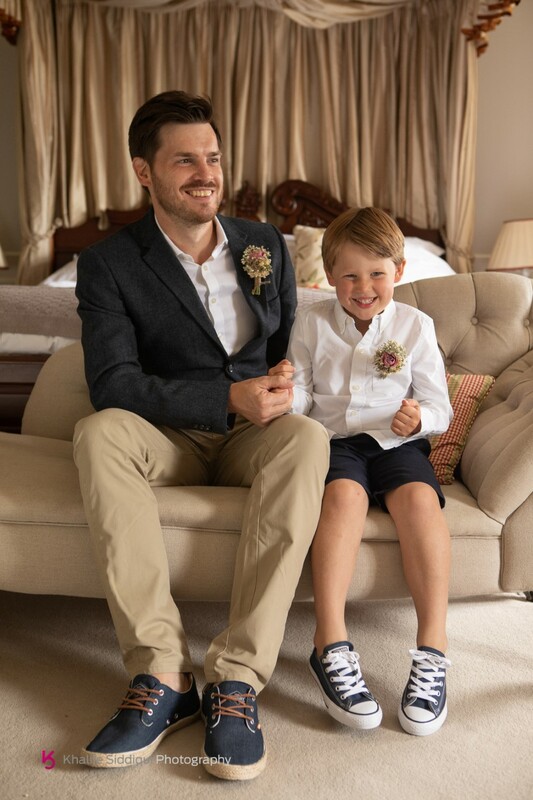 And for Mark, being a Superdry graphic designer, he looked more like a Superdry model, dressed head to toe in Superdry with a blue blazer and light brown chinos. 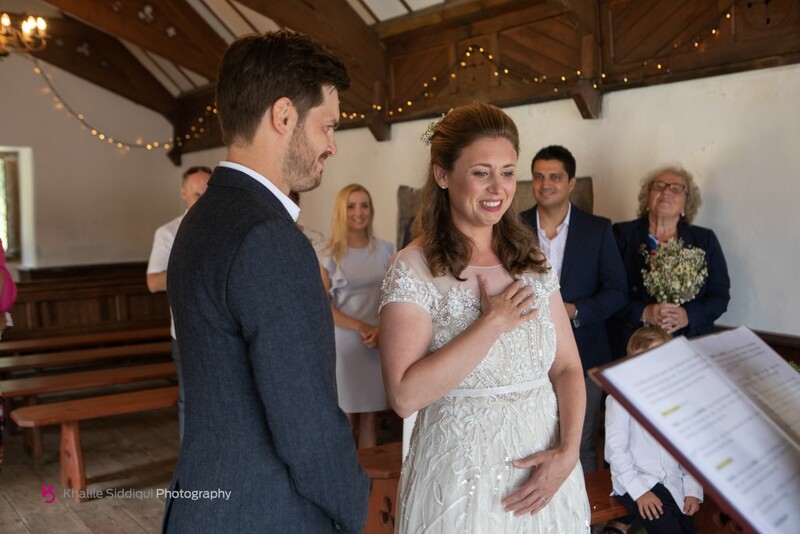 It was a beautiful ceremony with lovely soft light surrounding them, and a real treat to behold. 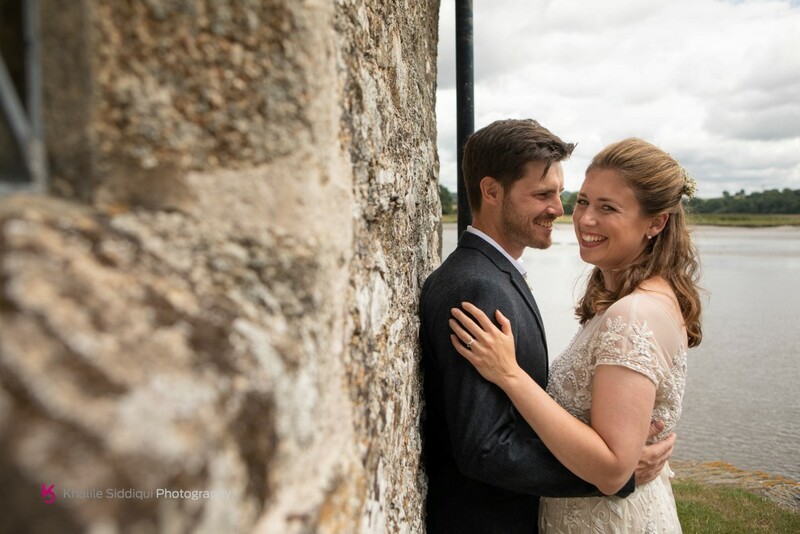 After the ceremony we headed straight outside for some confetti throwing, then the guests headed back up to the castle while I got a few photos of our happy couple down by the boat house. 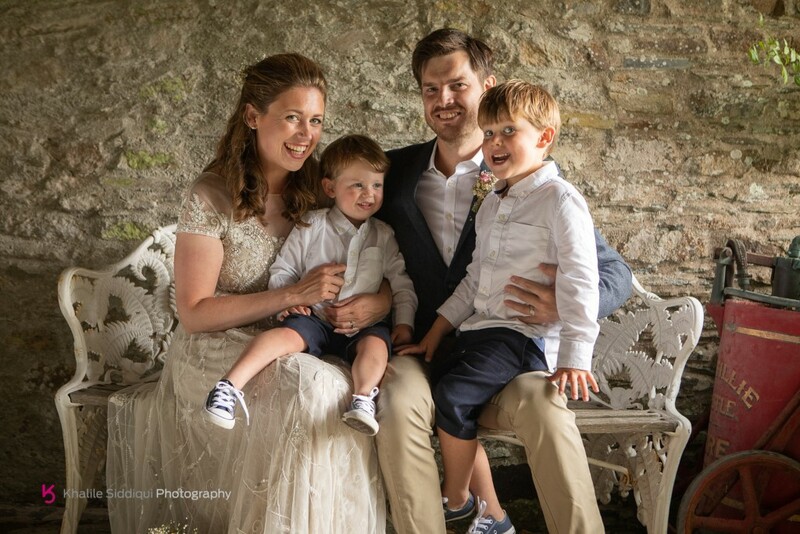 For just a short while we had a rain cloud come over so I took Rachel, Mark and the boys to a nice sheltered spot for some family photos with a few more couple shots. 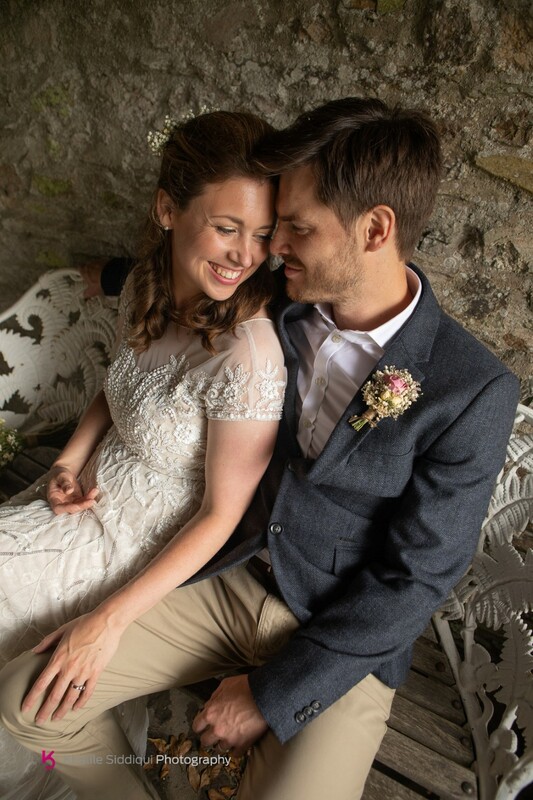 At our pre-wedding meeting Mark told me he wasn’t very comfortable in front of the lens, but after putting on this performance Mark I think you’ll be snapped up for modelling as well as doing the graphic design for Superdry! 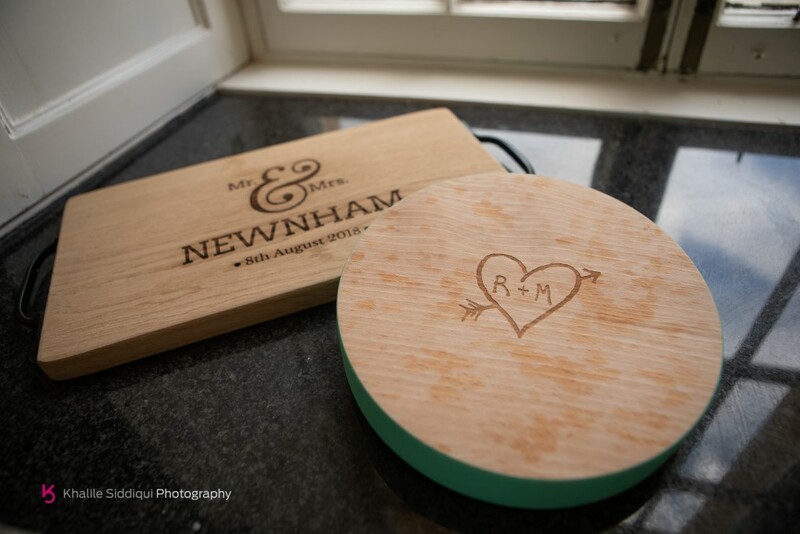 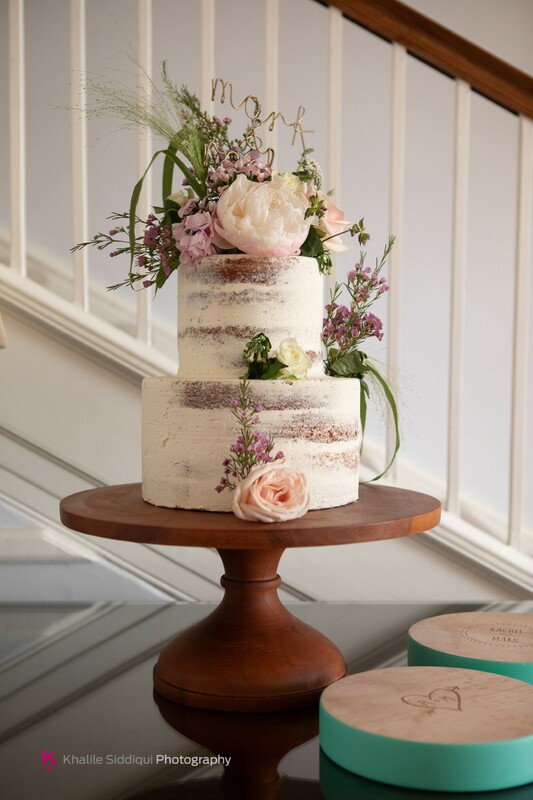 While the shower was still loitering I went into the castle to get some shots on the ‘Edible Essence‘ Cake and the other little details Rachel had purchased at ‘Not on the High street‘ like the etched boards and their wire name plaque for the cake detail. 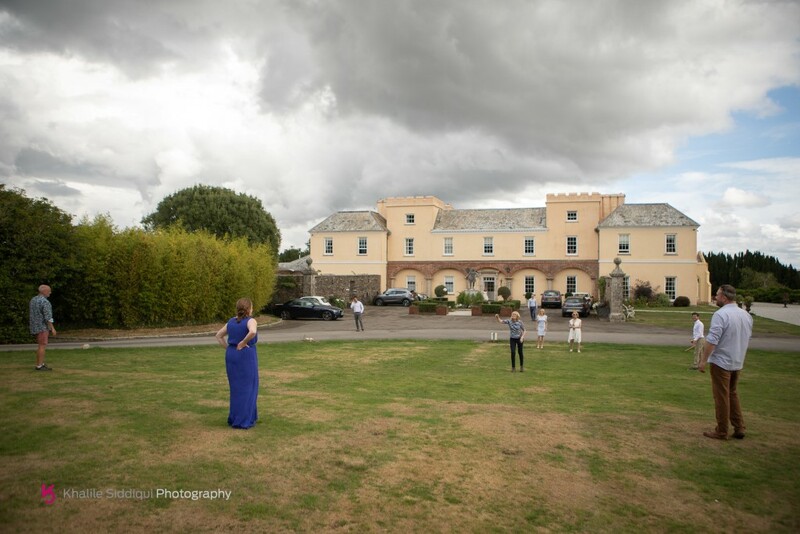 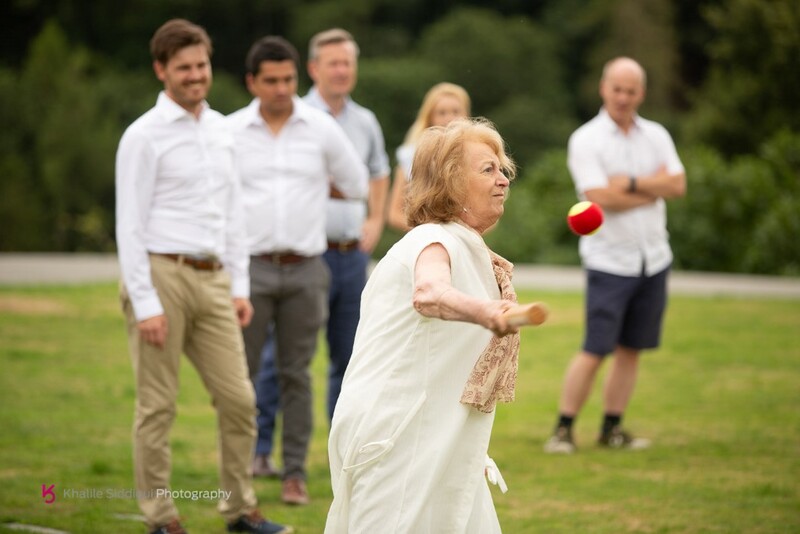 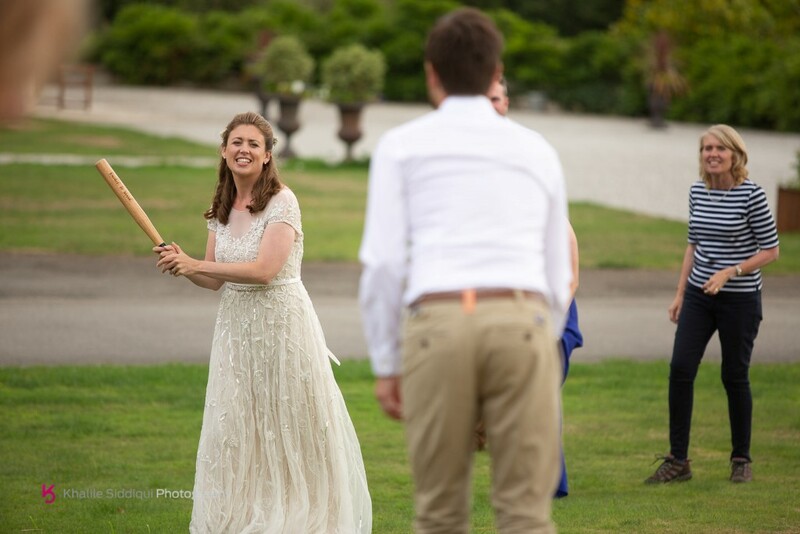 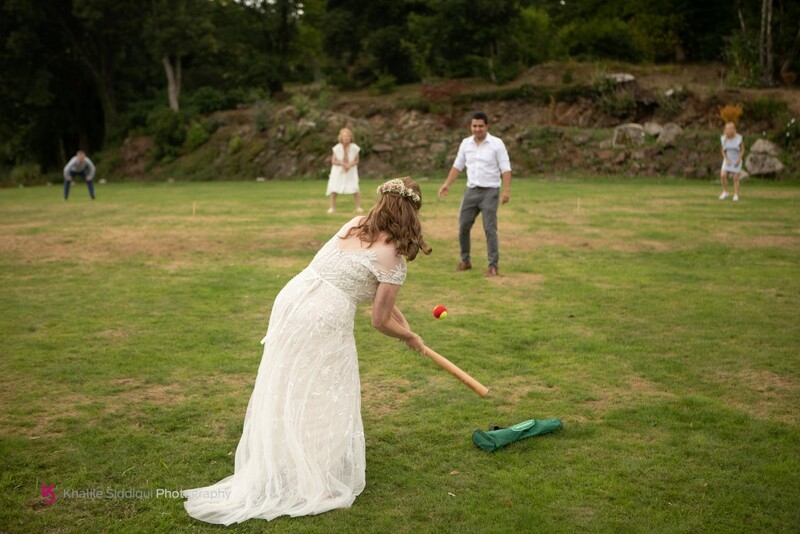 Once the shower had passed everyone headed out to the front of the castle grounds for a game of rounders using the personalised rounders set that Rachel had made (again ‘Not on the High Street). 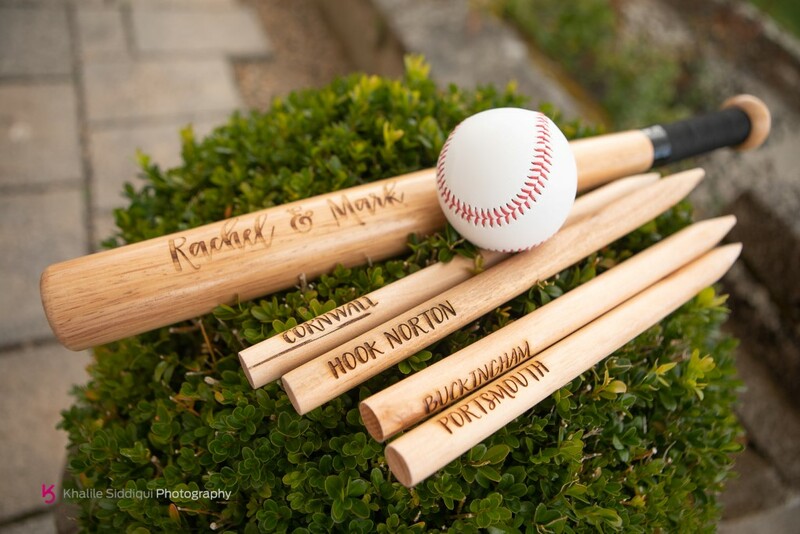 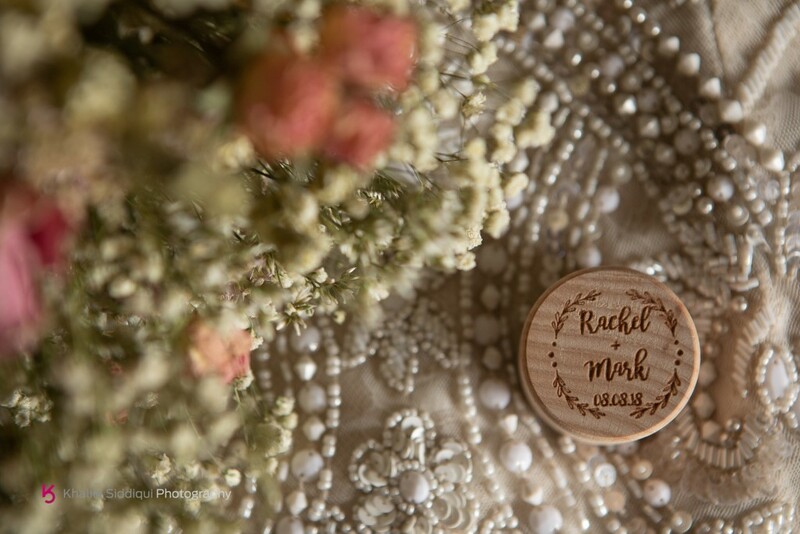 Rachel had each base peg etched with the name of somewhere that meant something to them, where they went to school (that’s where they met), Where they went to uni, where they live, and of course where they got married. 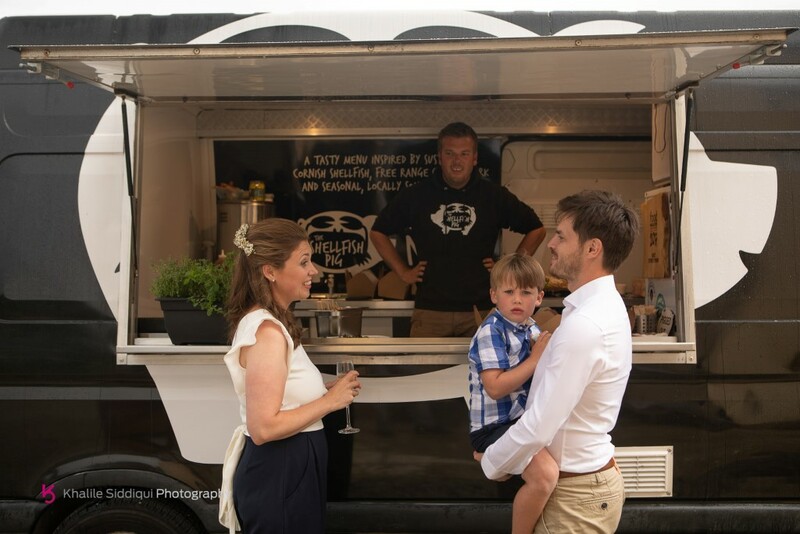 Then it dawned on us that we’d not managed to get any of the boys together alone so that was swiftly rectified..
For their evening meal Rachel and Mark commissioned the services of ‘The Shellfish Pig‘ catering company. 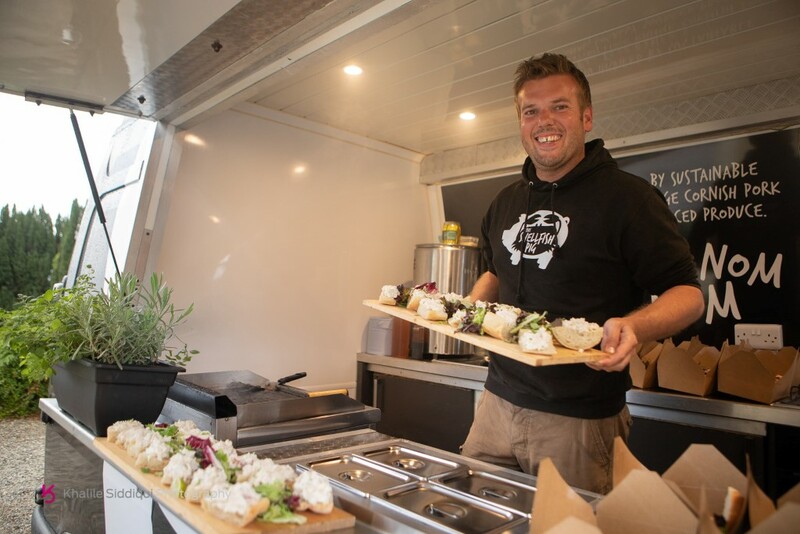 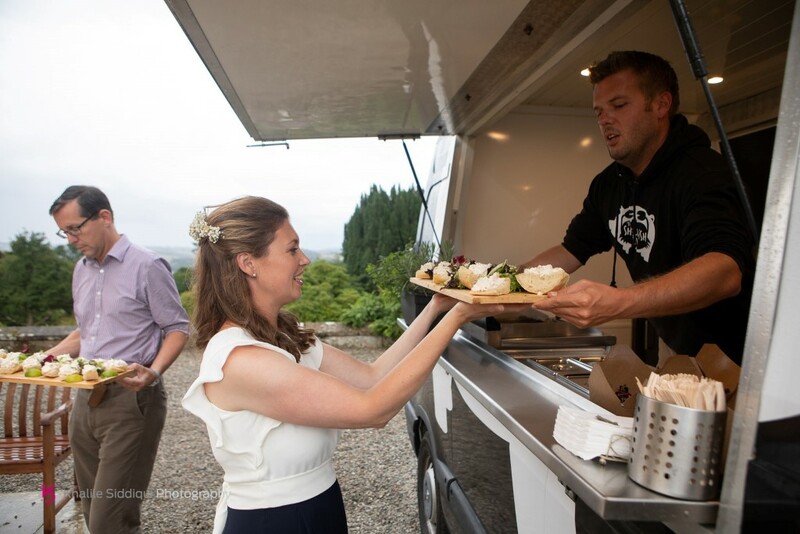 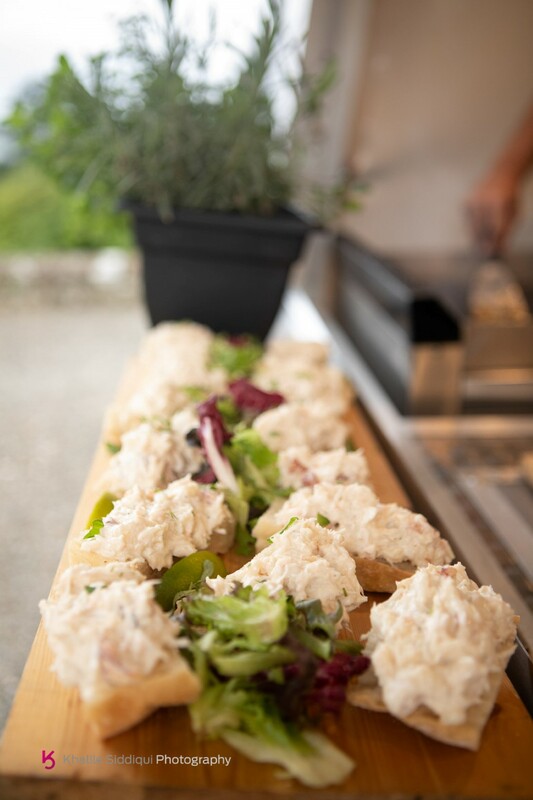 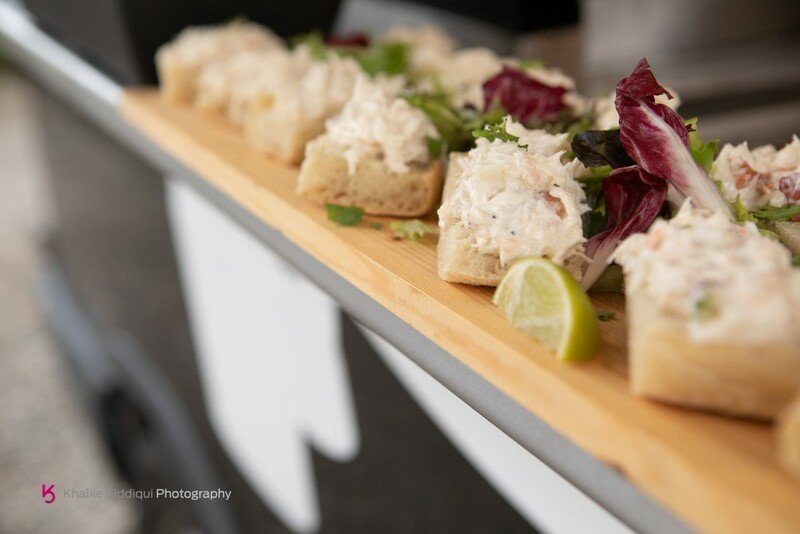 This award winning street food service was brought to them by the owner Nick in his black and white van, supplying as the name suggests a shellfish starter followed by a pork main served out the side window of his van. 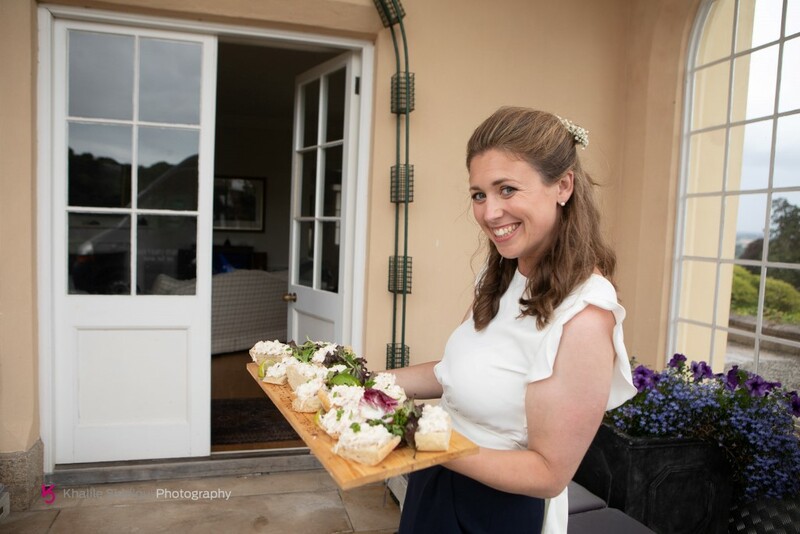 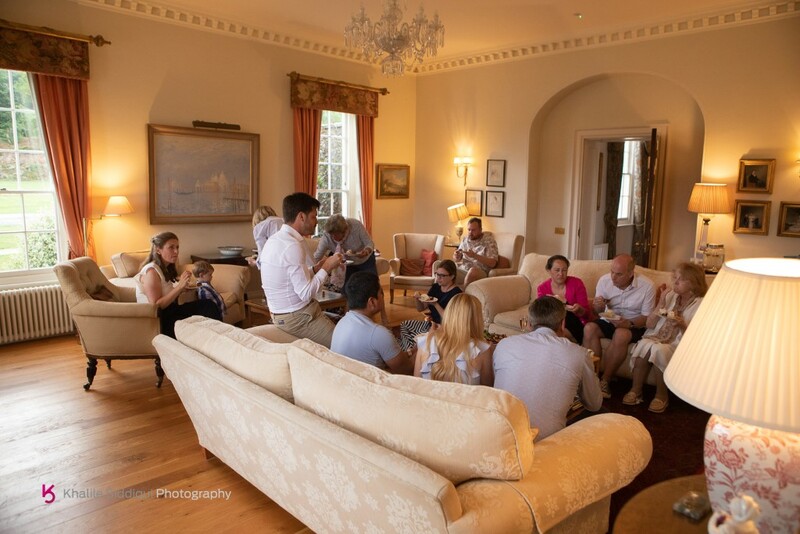 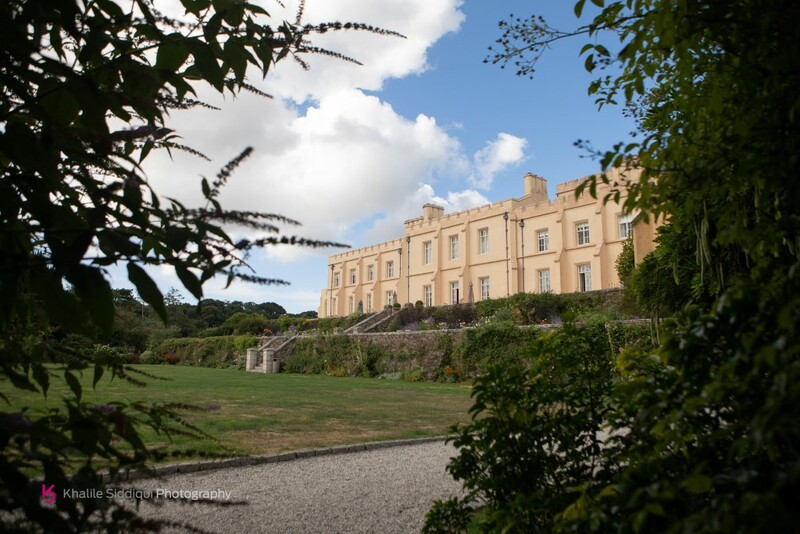 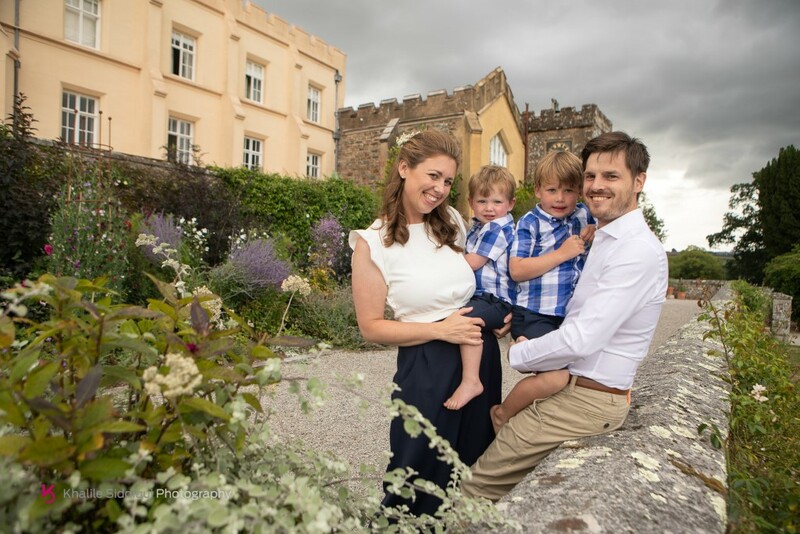 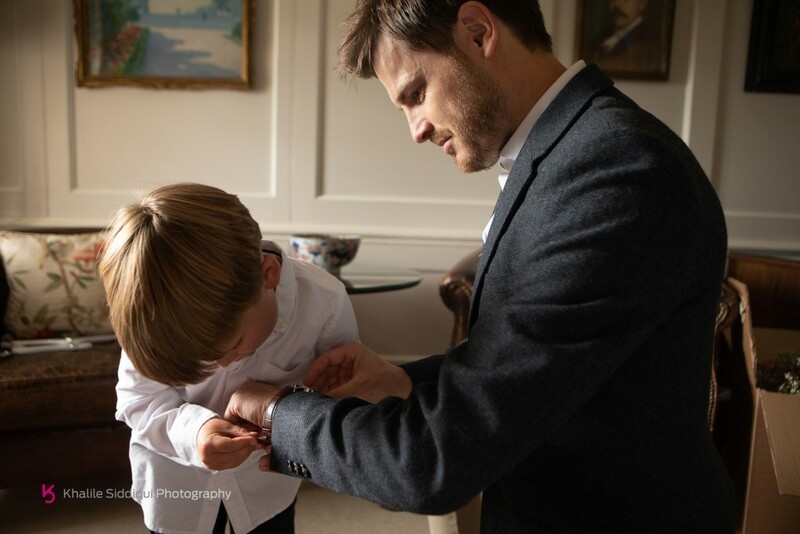 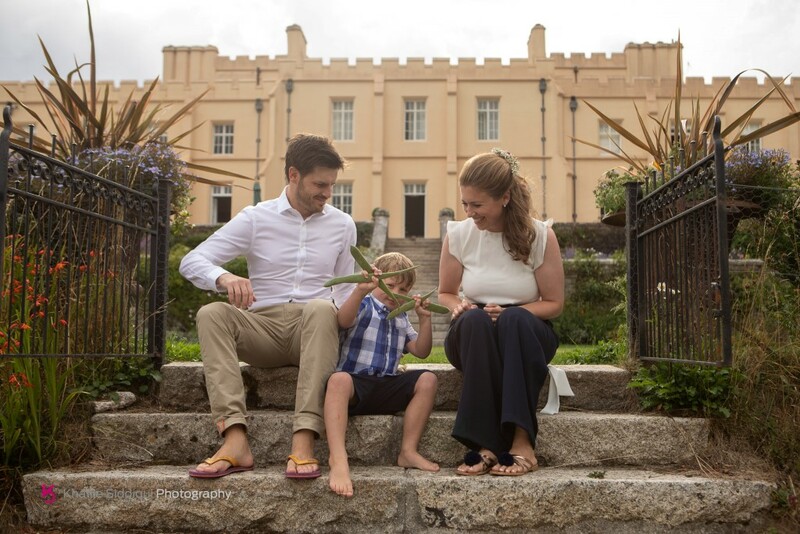 Unfortunately with a few more showers around our happy family were forced to consume Nick’s dishes in the drawing room of the castle rather than on the terraces, but were totally delighted with the food none the less, rounding off a gorgeous day.